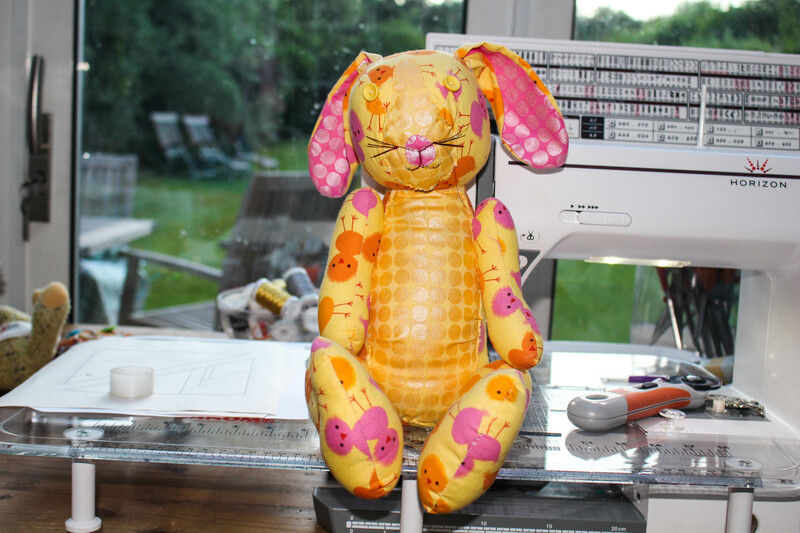 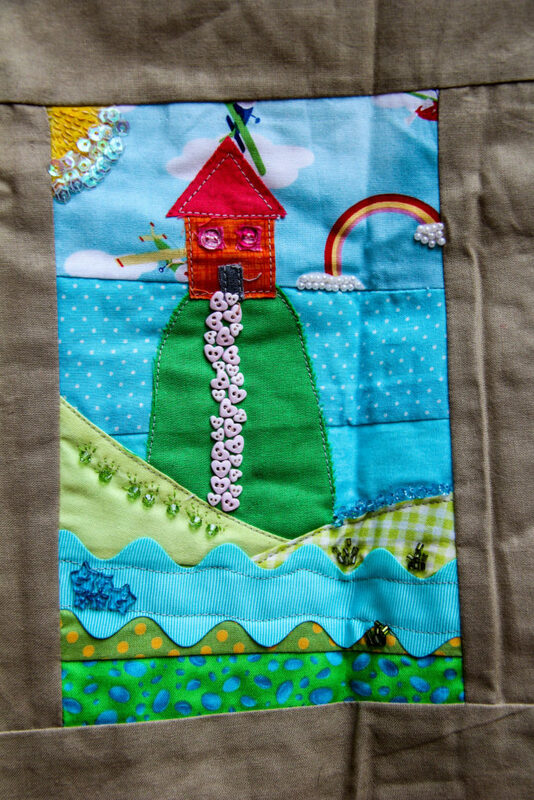 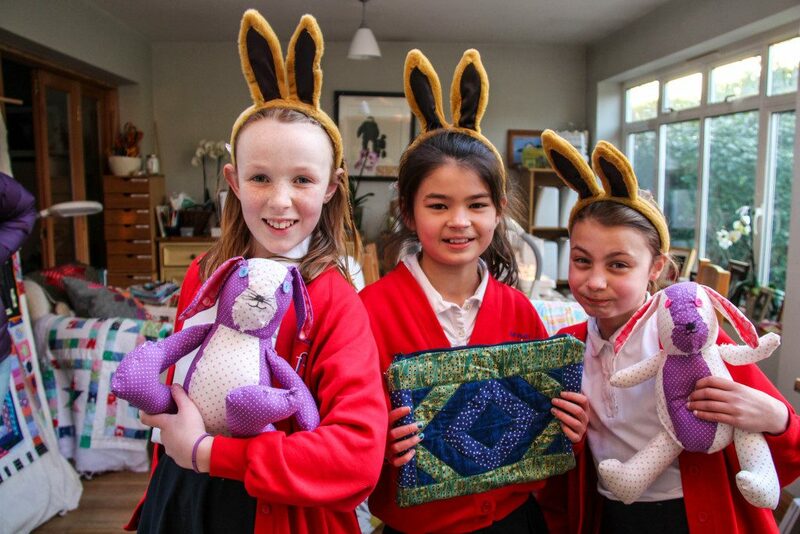 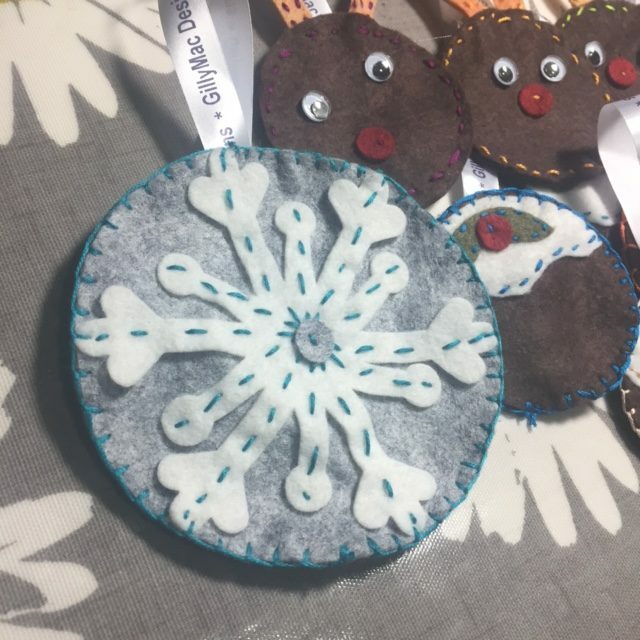 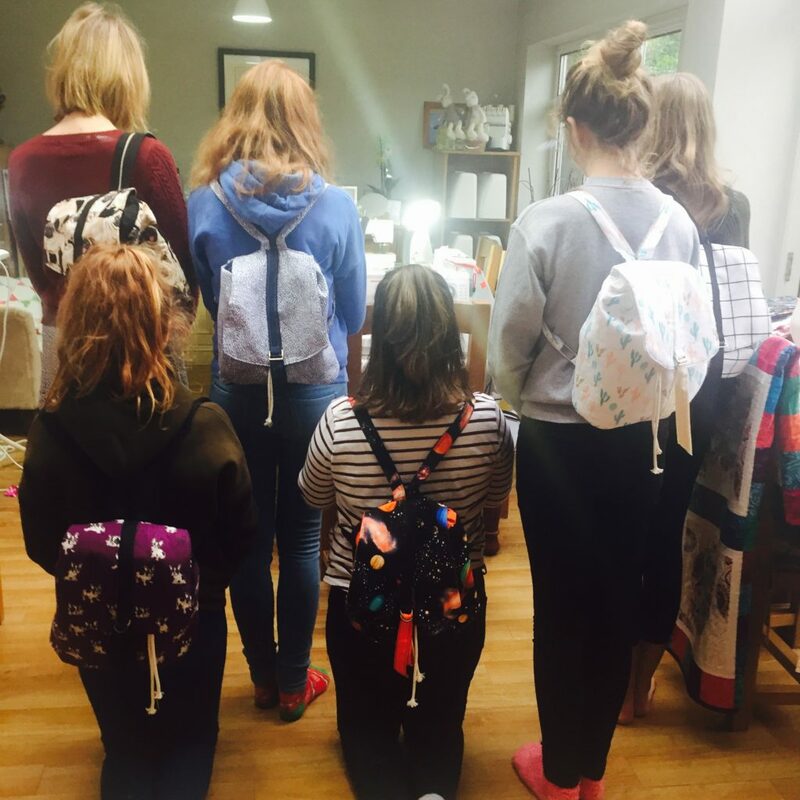 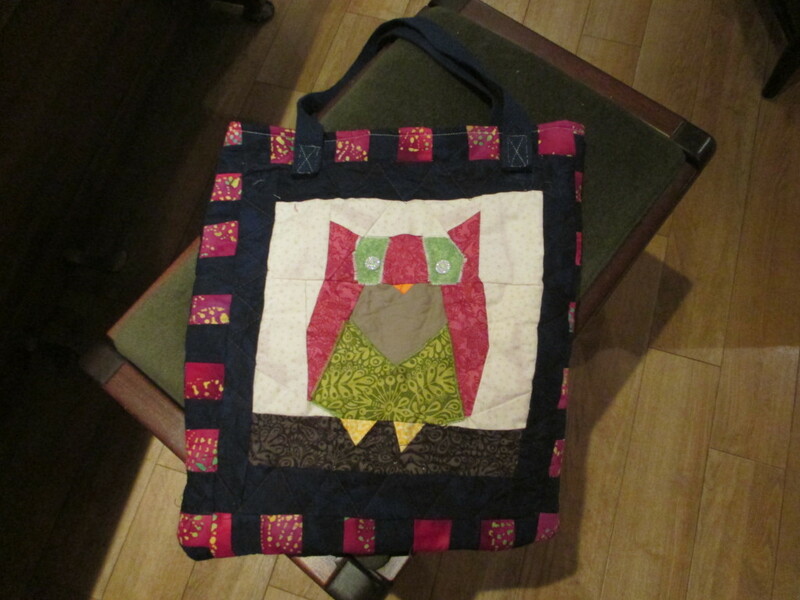 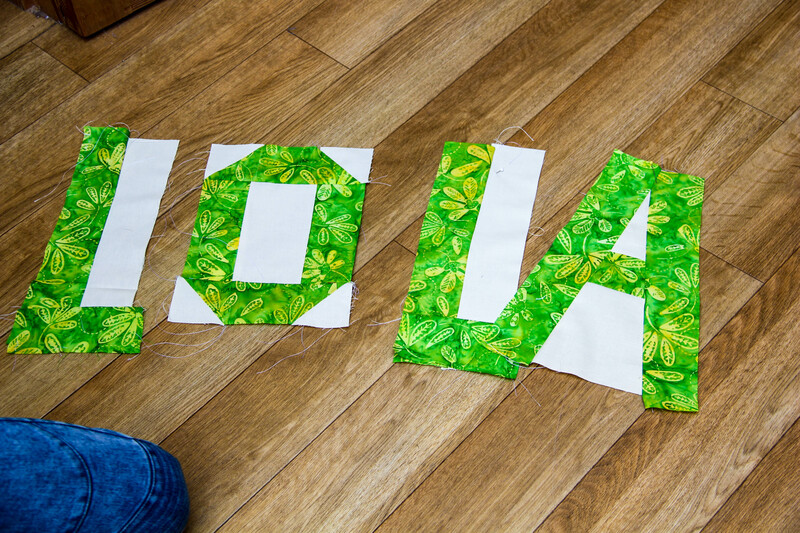 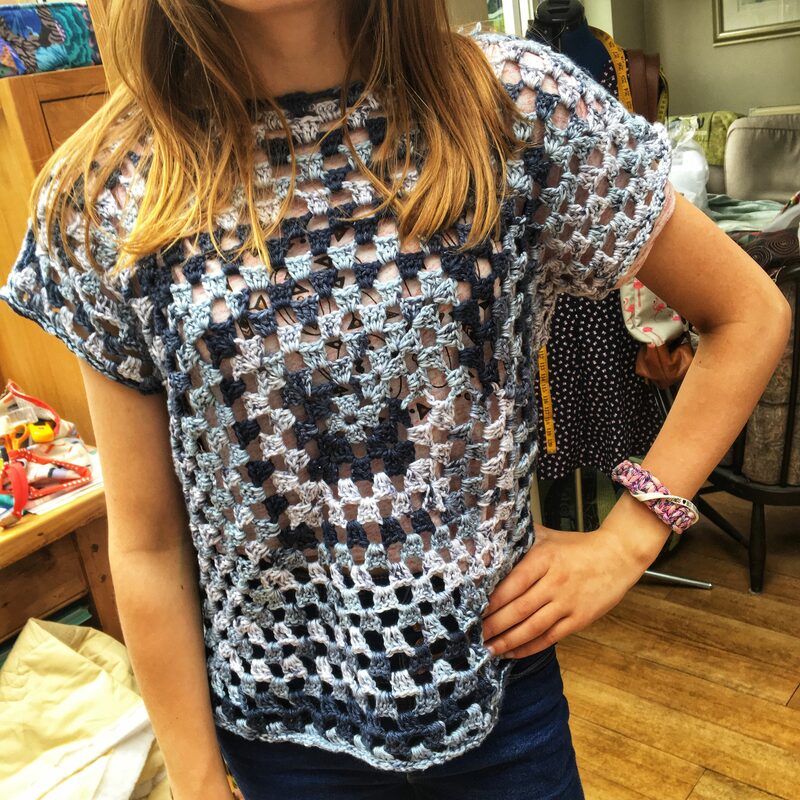 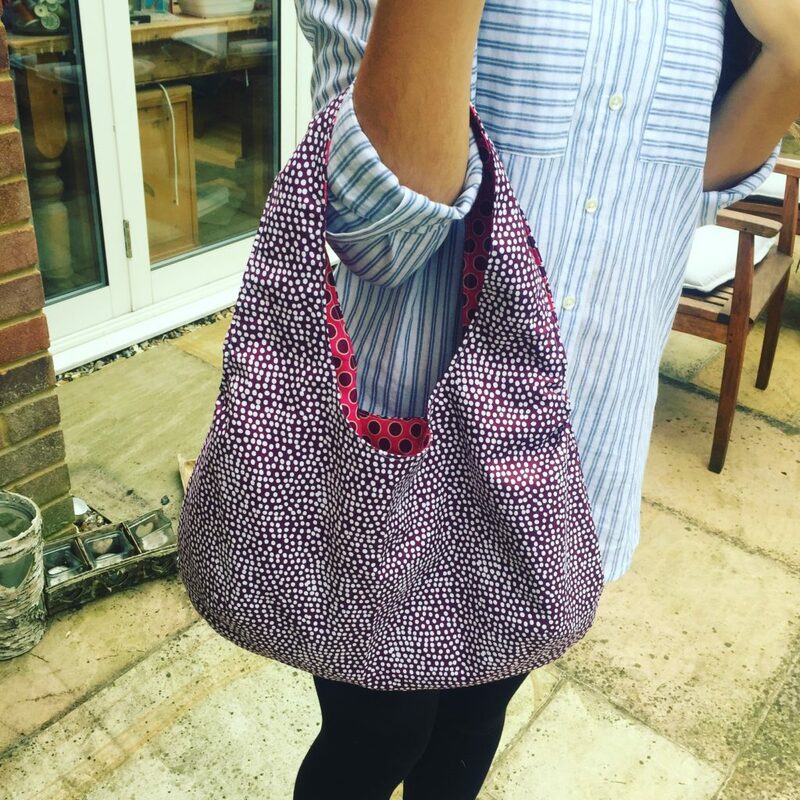 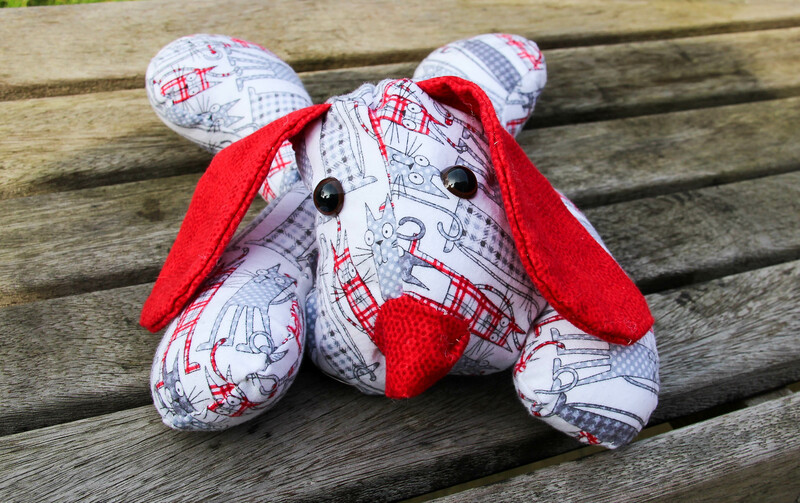 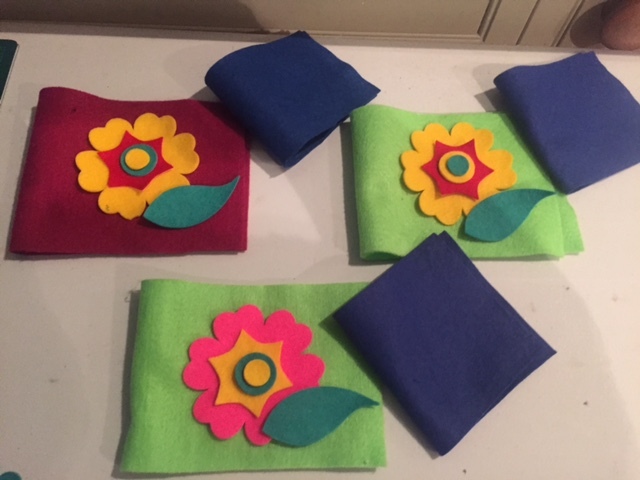 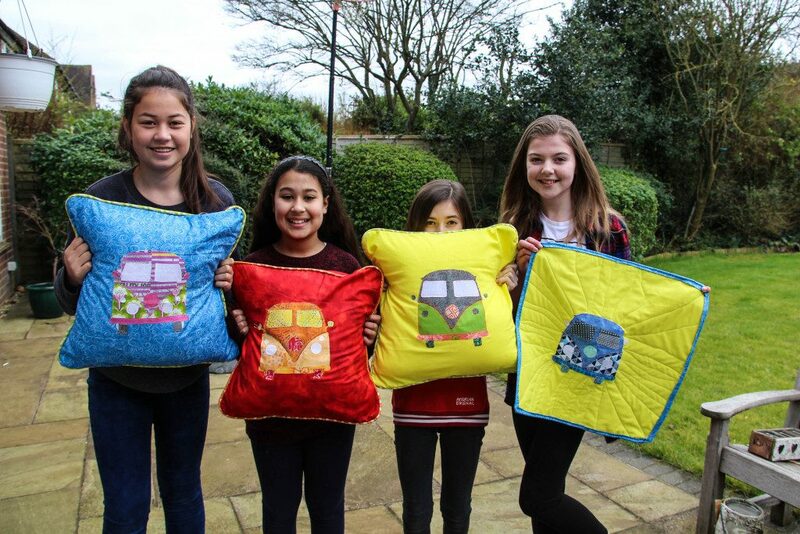 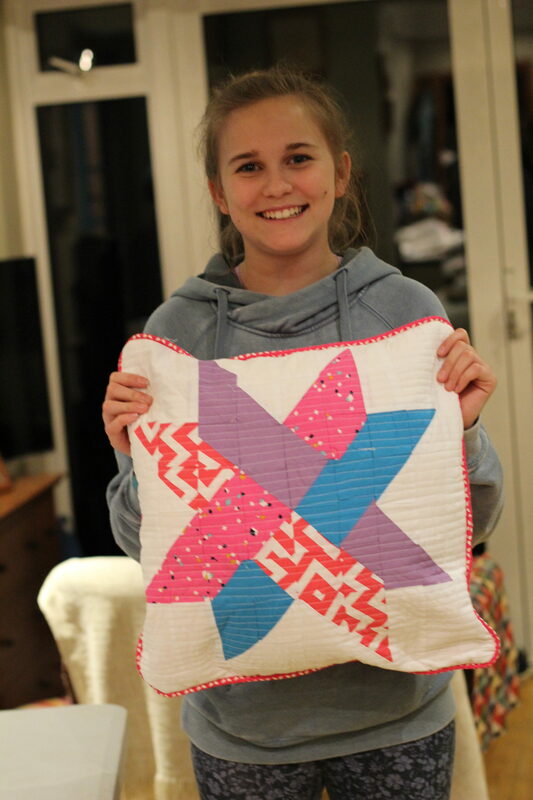 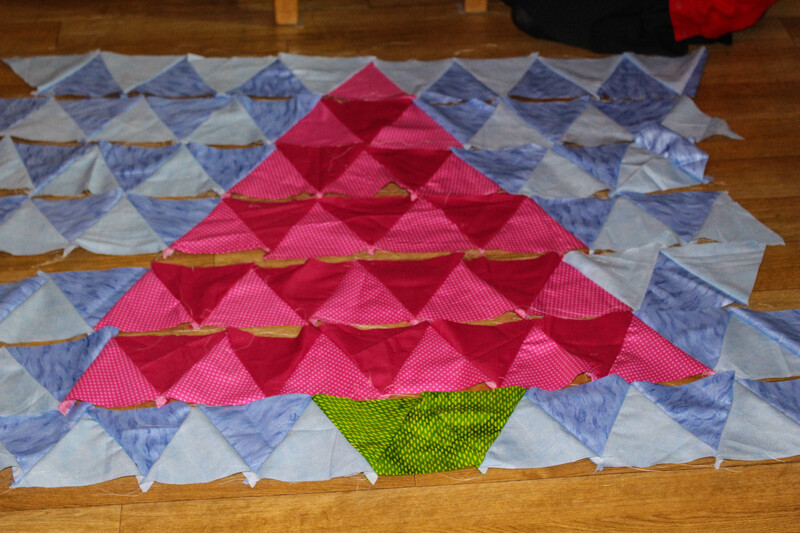 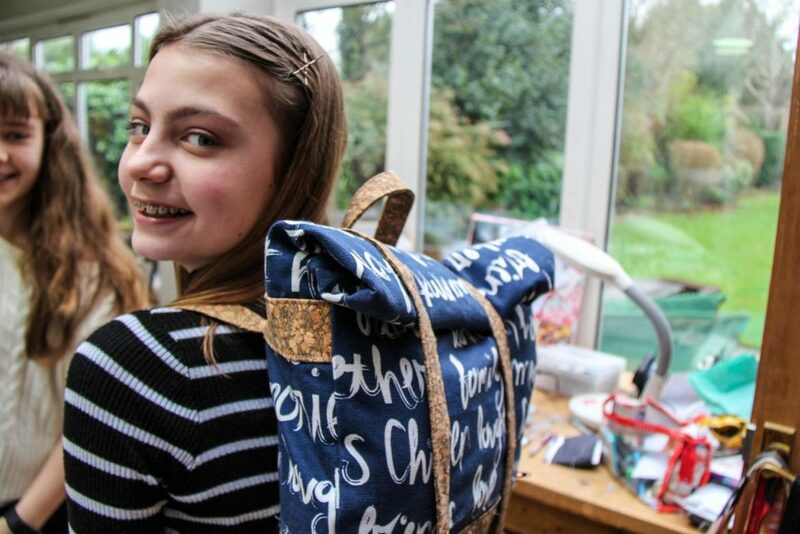 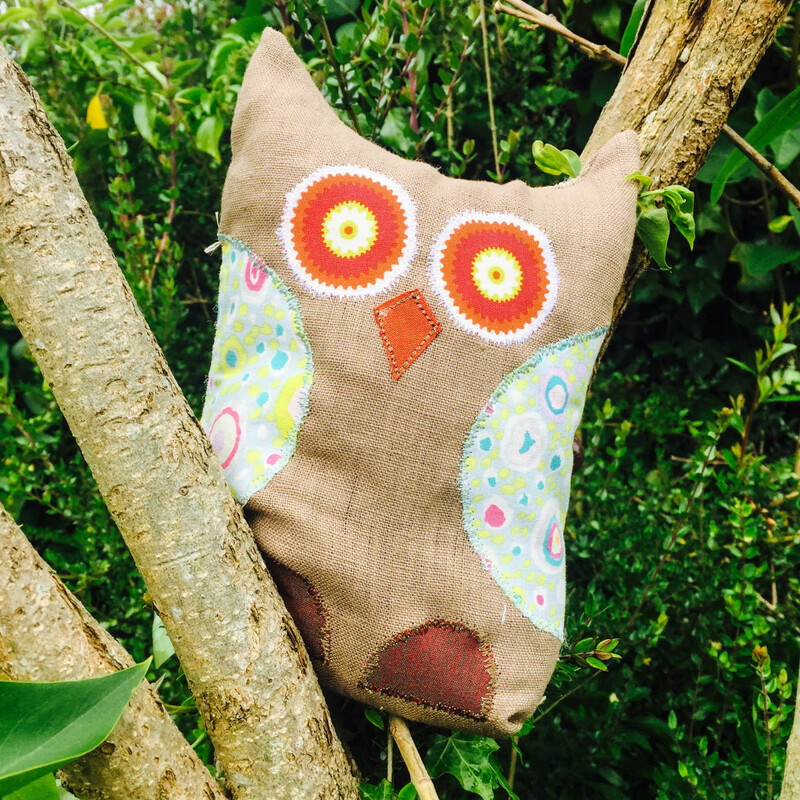 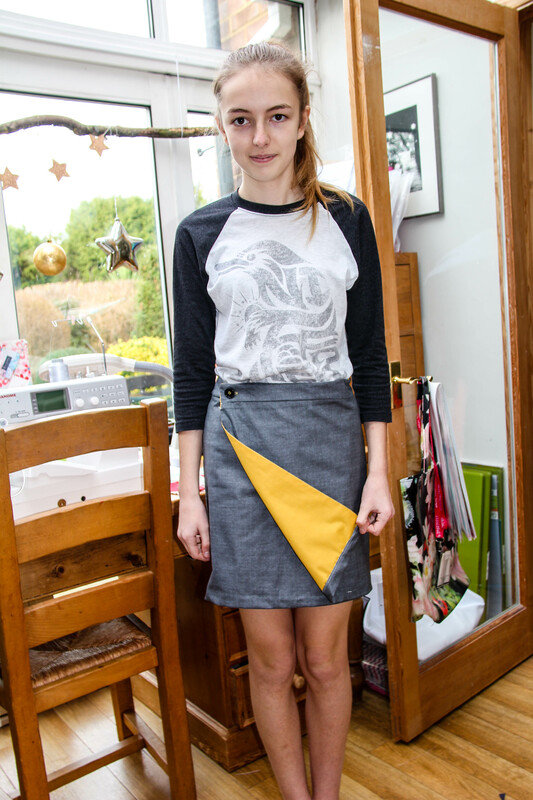 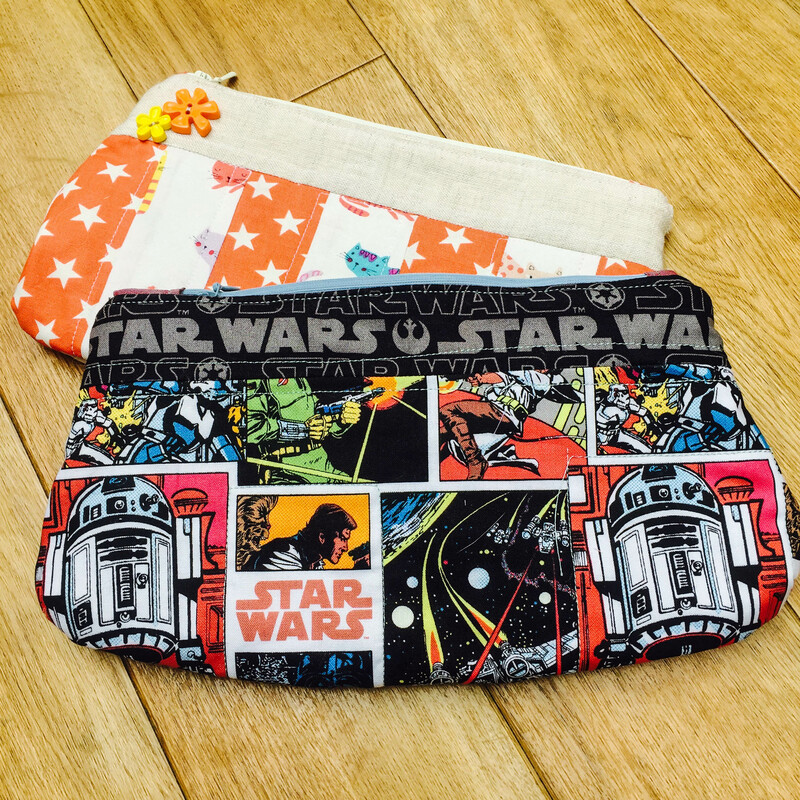 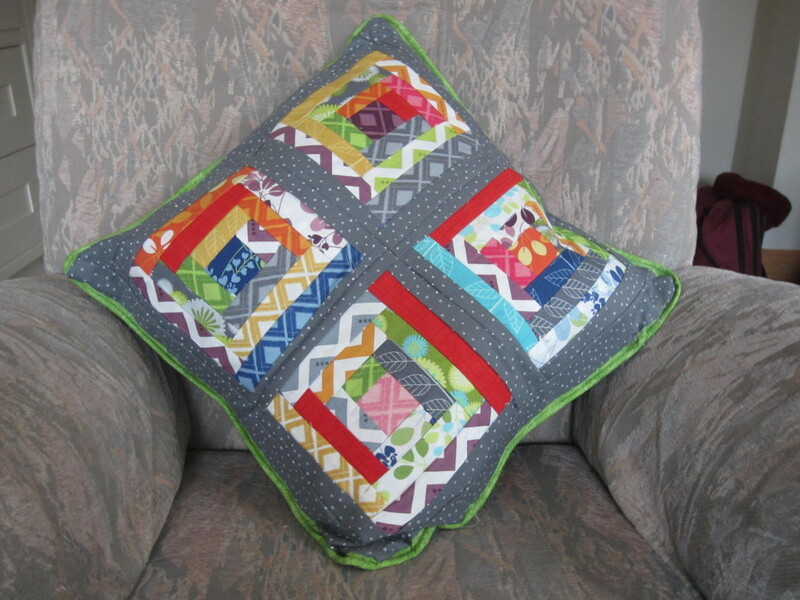 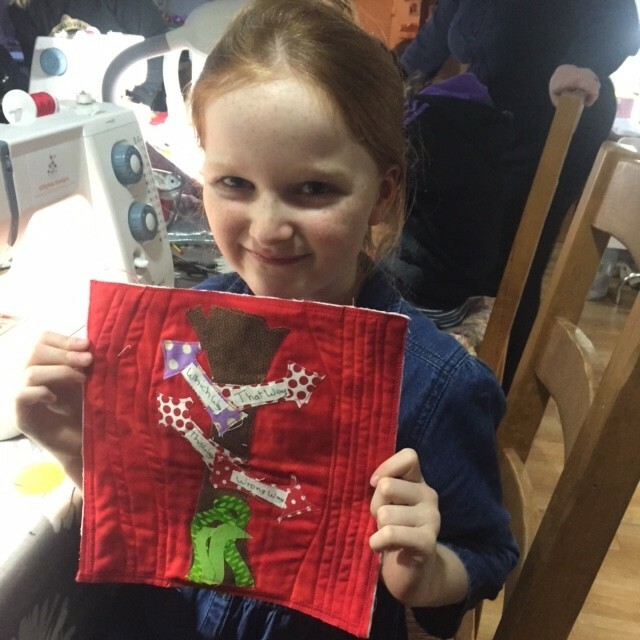 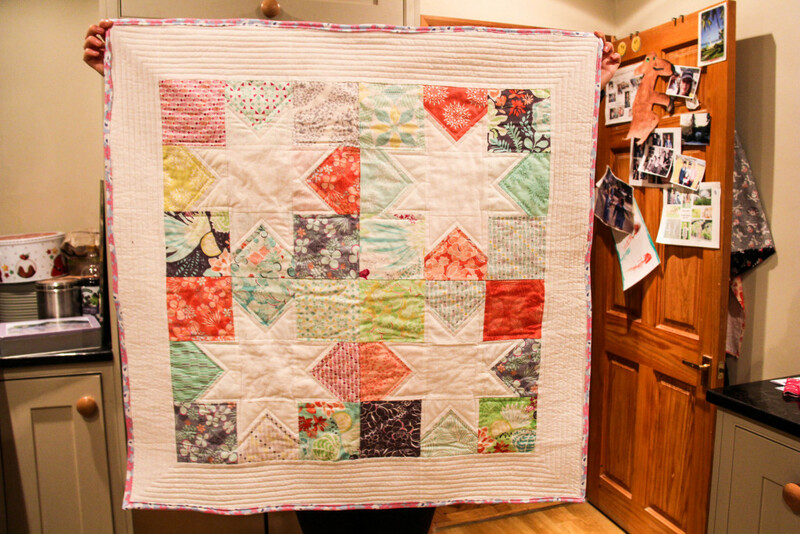 Teaching children and teens to sew is just a joy! 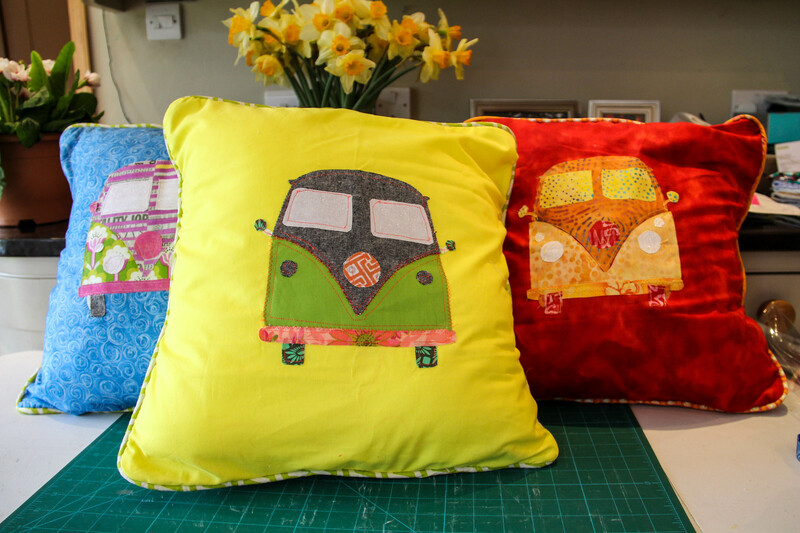 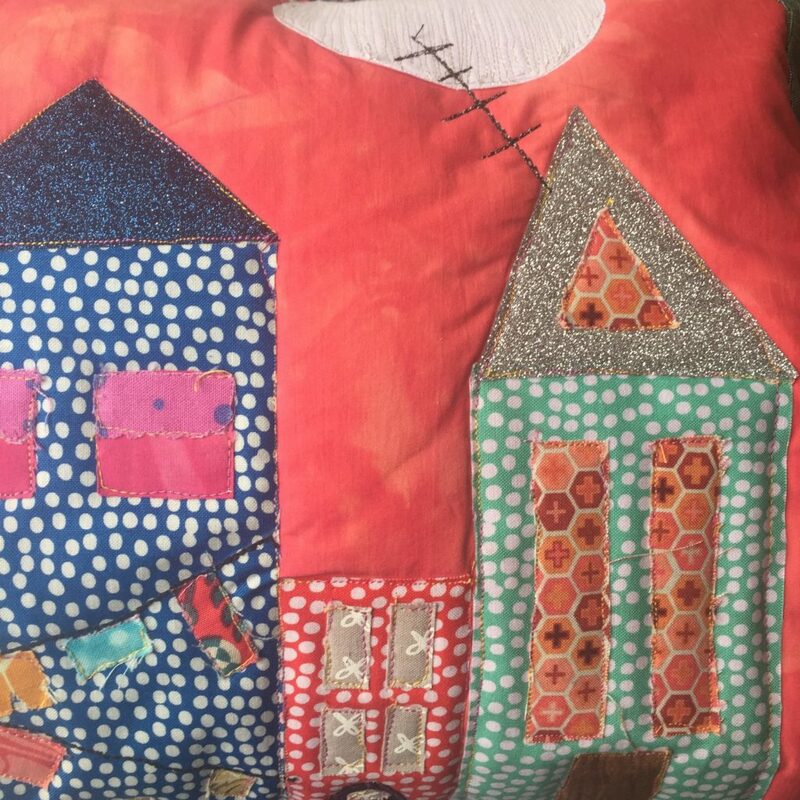 We don’t just sew, we learn how to draw with the sewing machine, as well as quilt, embellish, print on fabrics, dye fabrics and so much more. 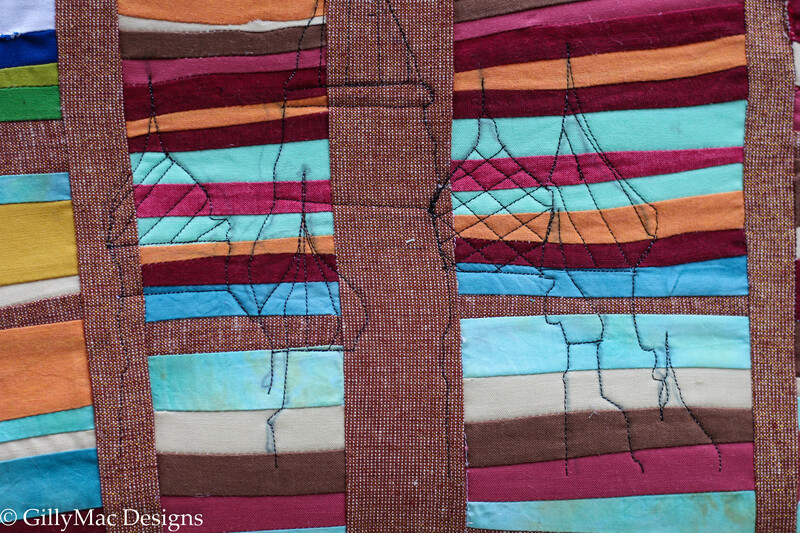 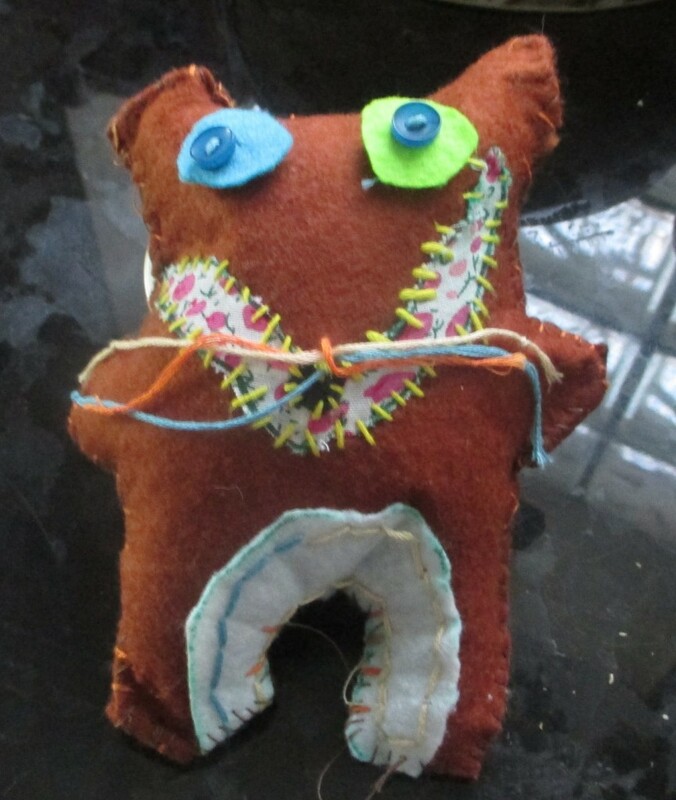 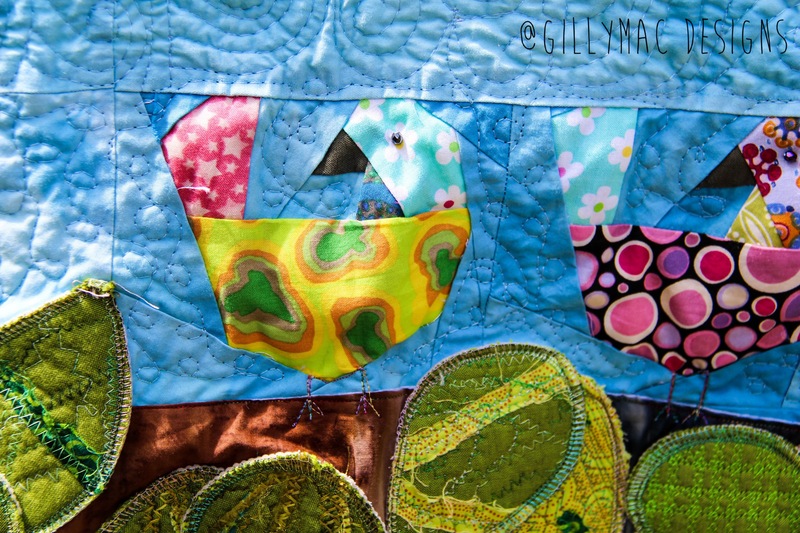 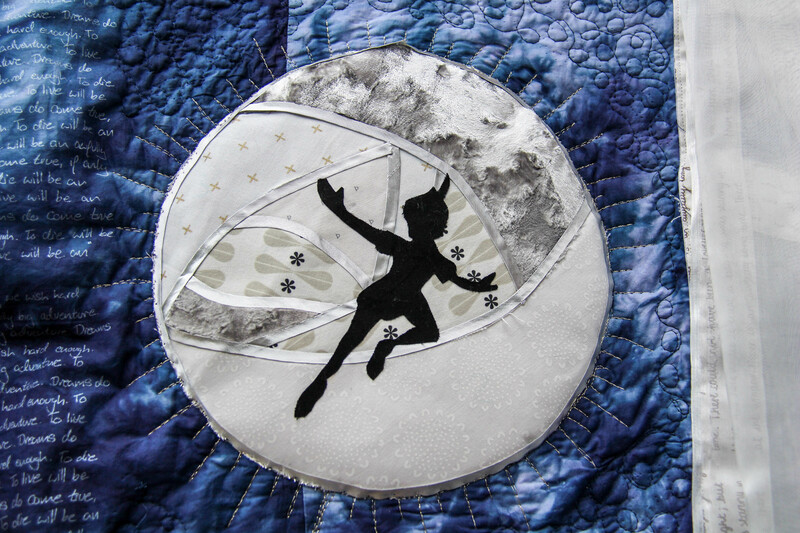 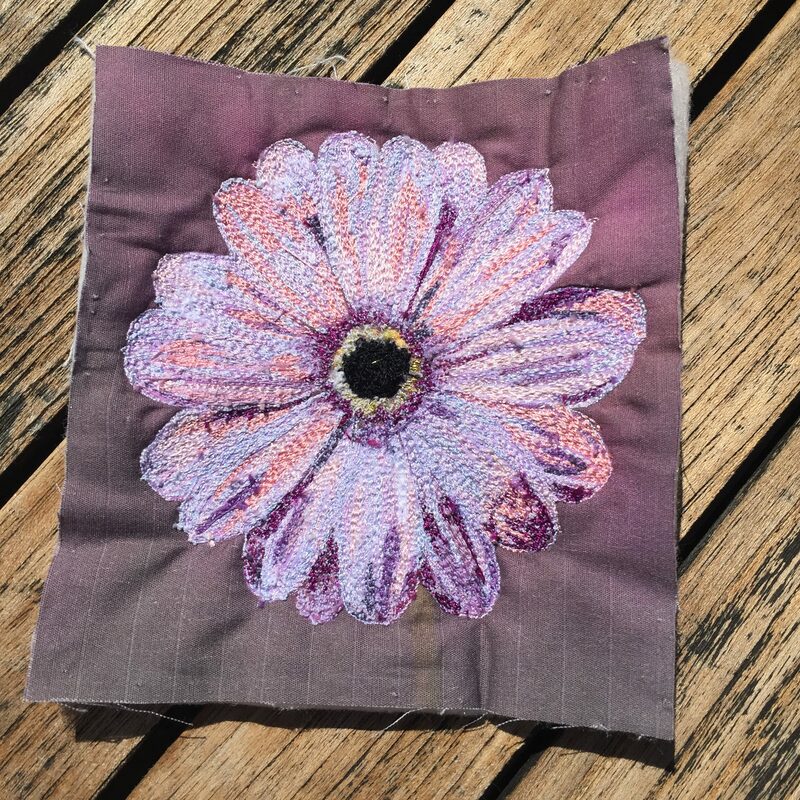 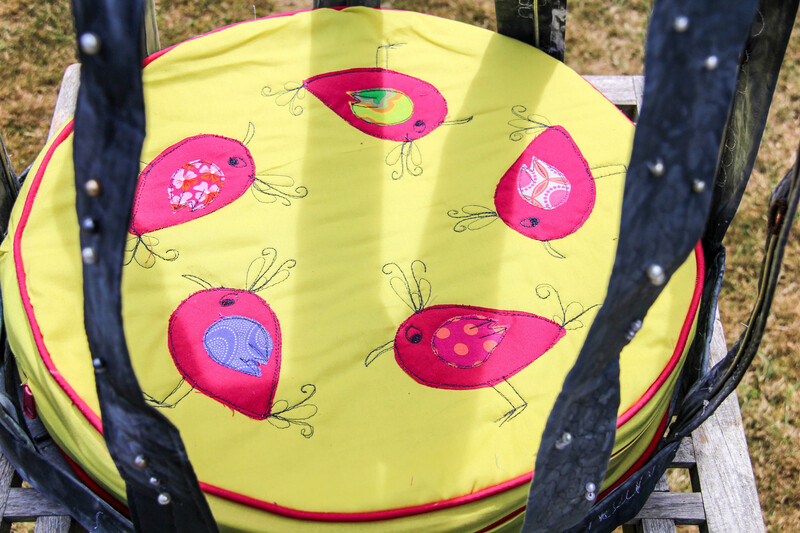 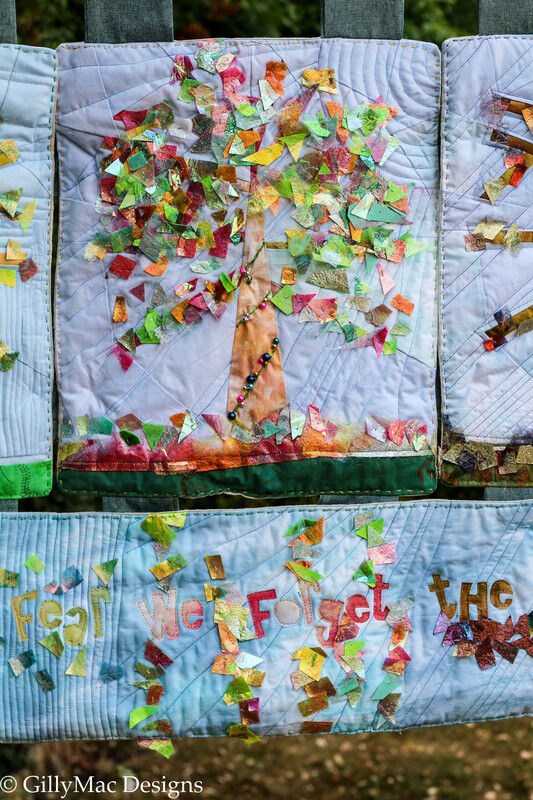 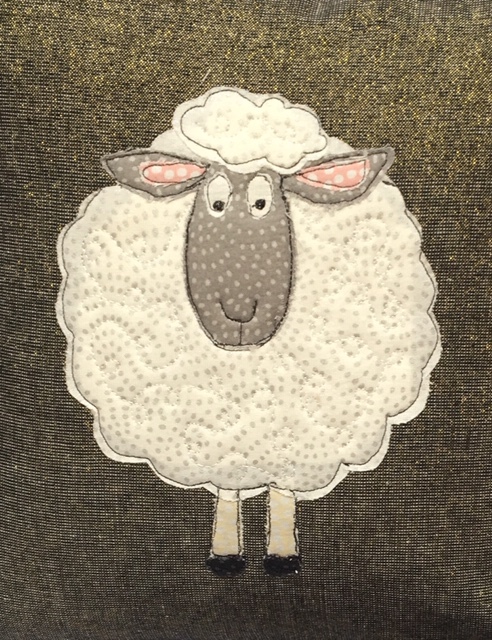 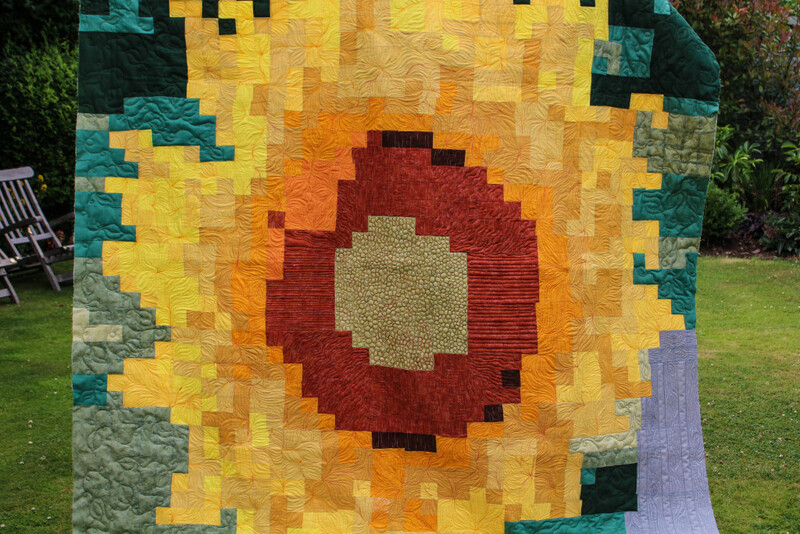 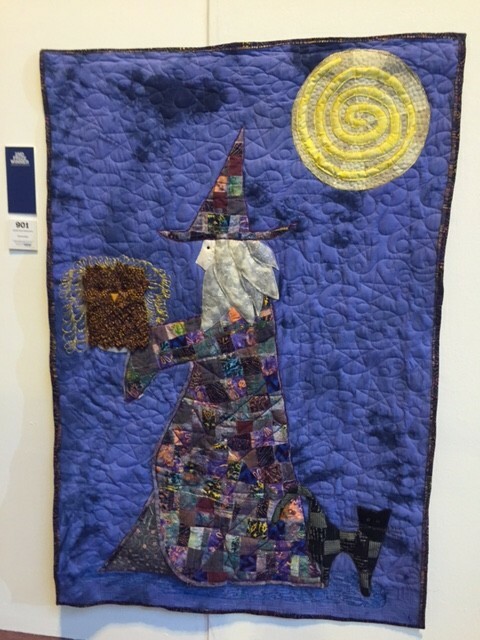 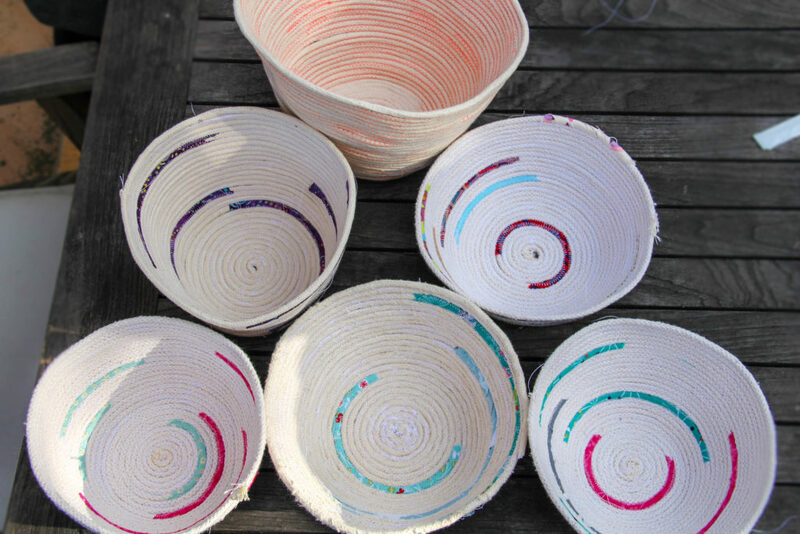 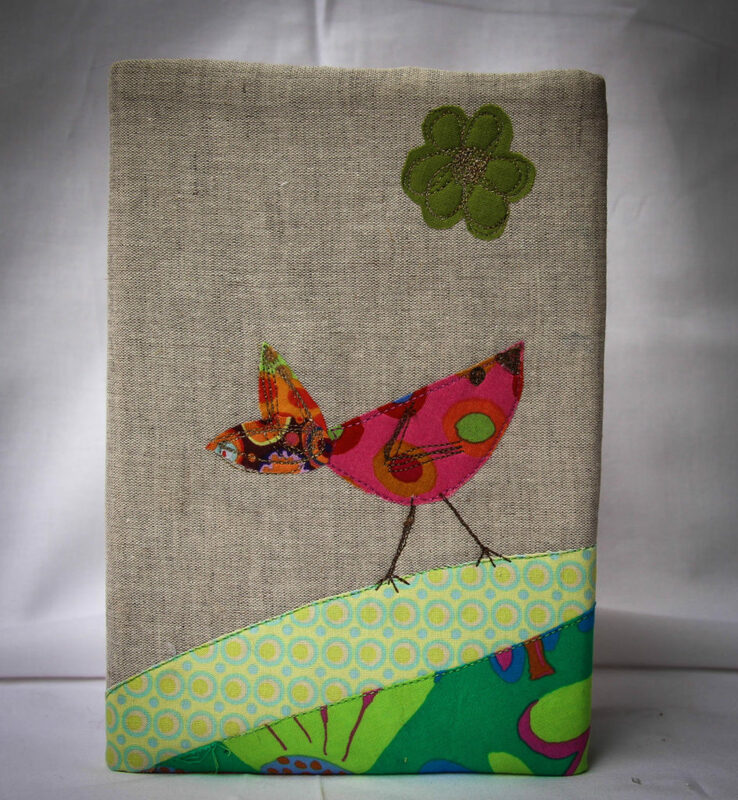 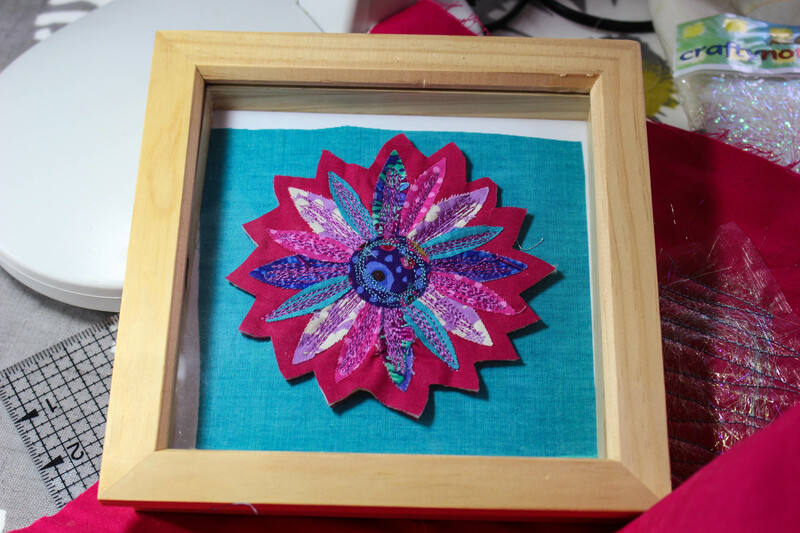 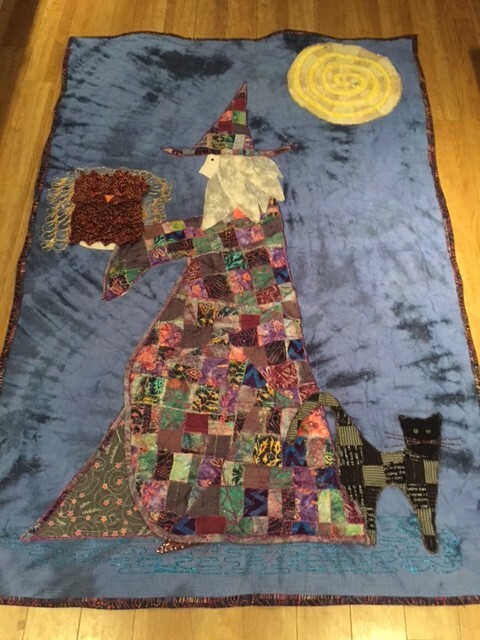 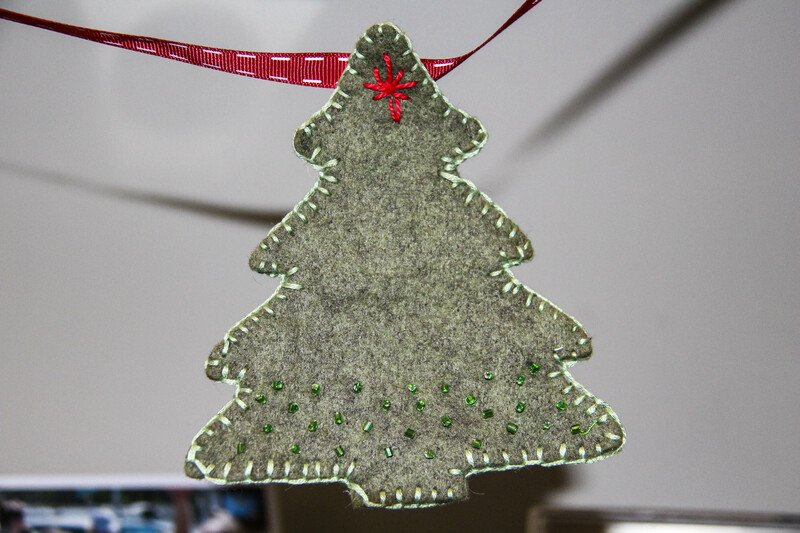 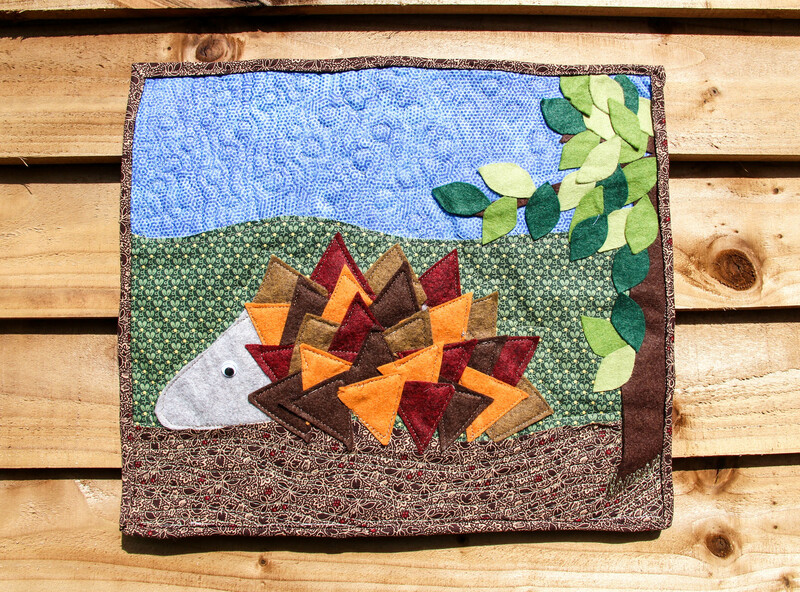 All the Junior/Teen GillyMac classes encourage an appreciation of textile art in many forms. 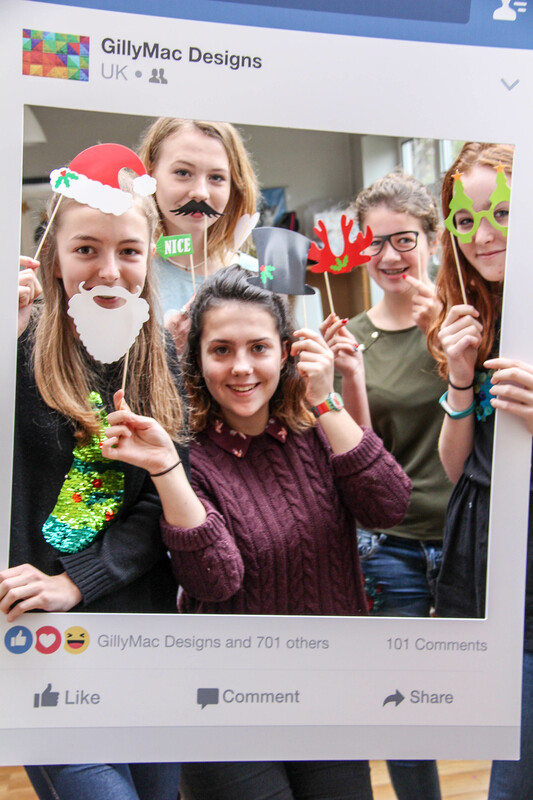 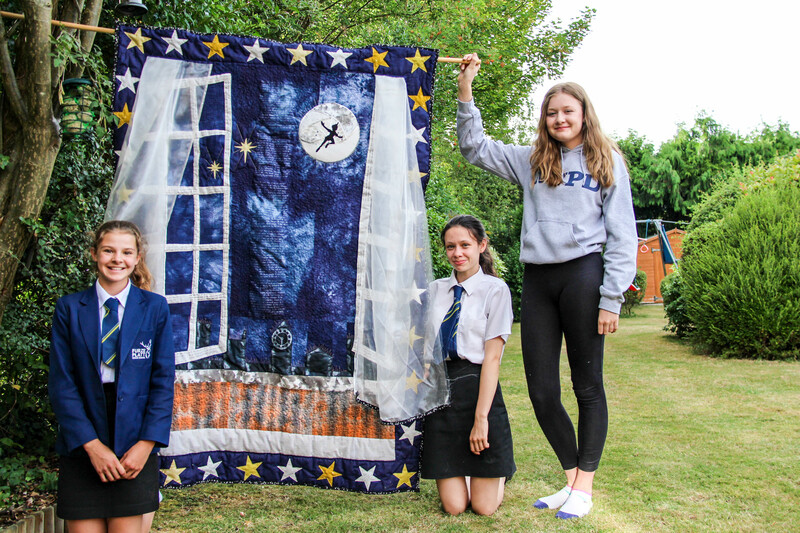 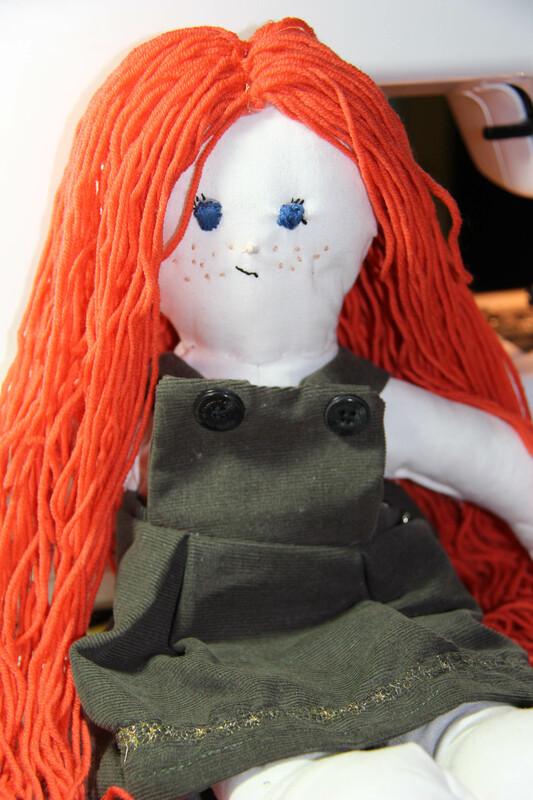 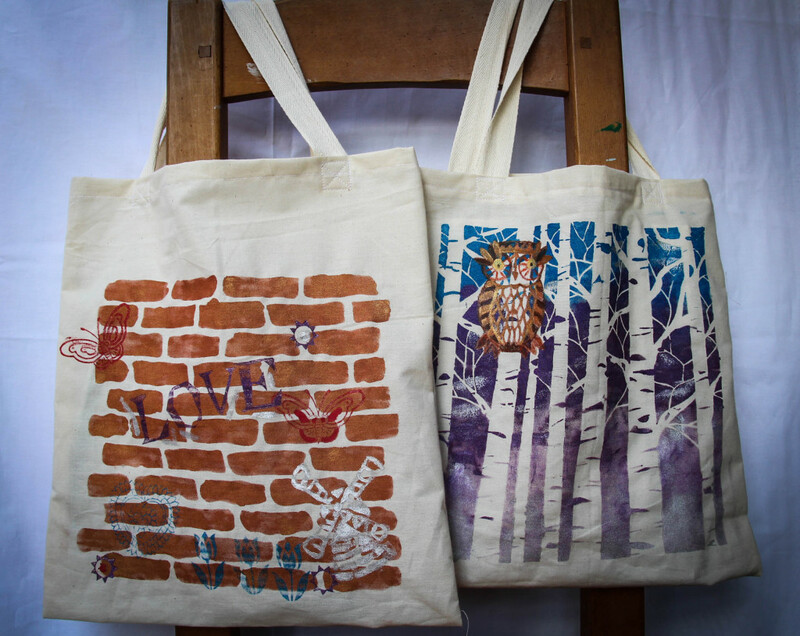 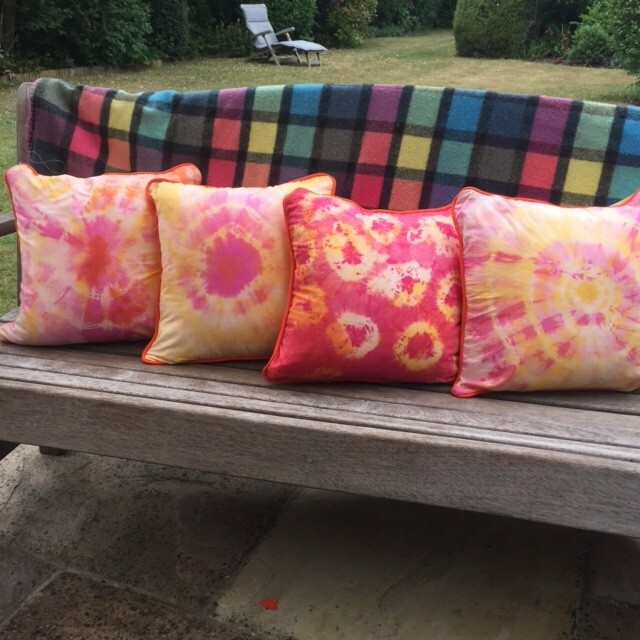 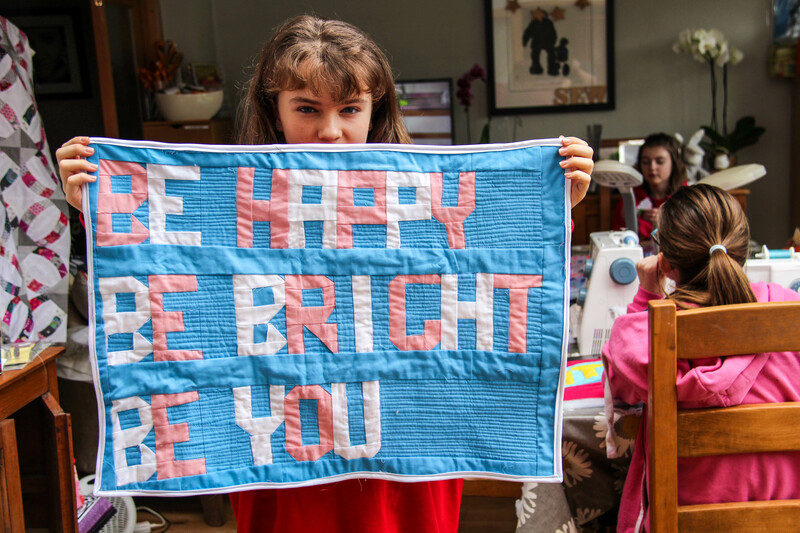 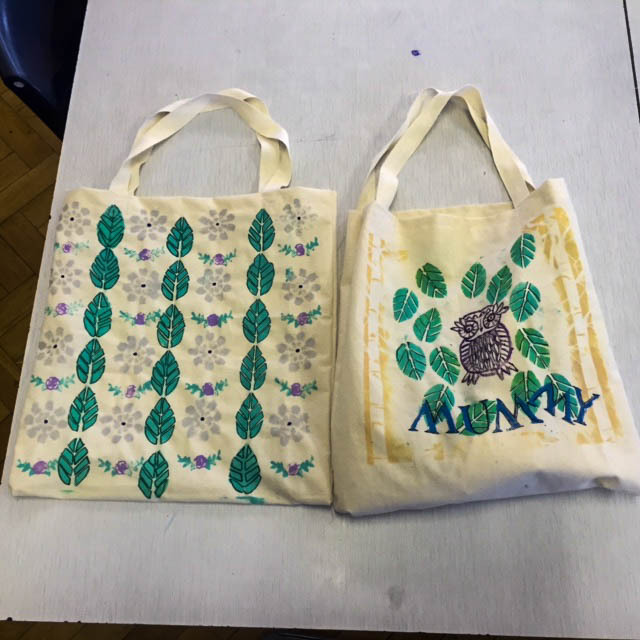 For the older girls, the classes also support their GCSE and A Level Textiles classes with brilliant results. 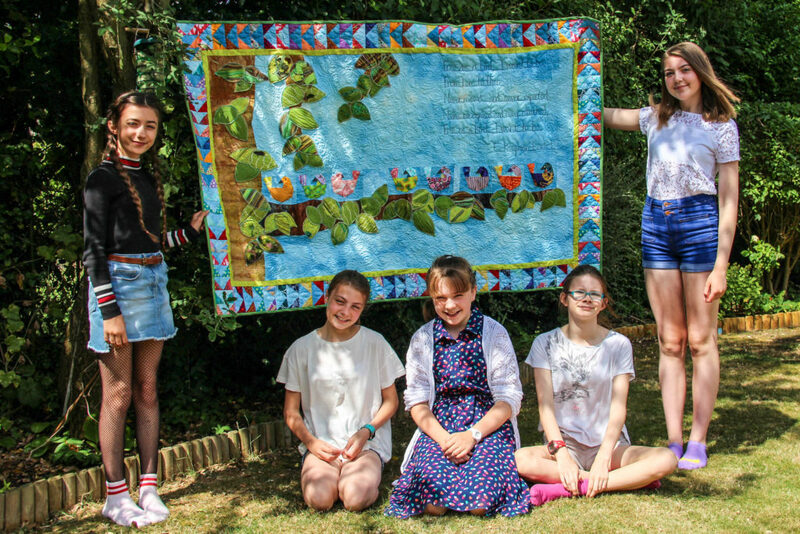 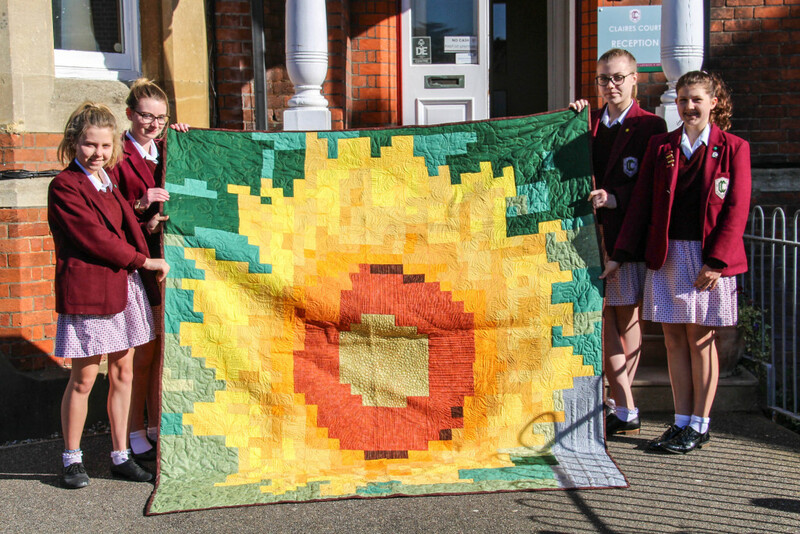 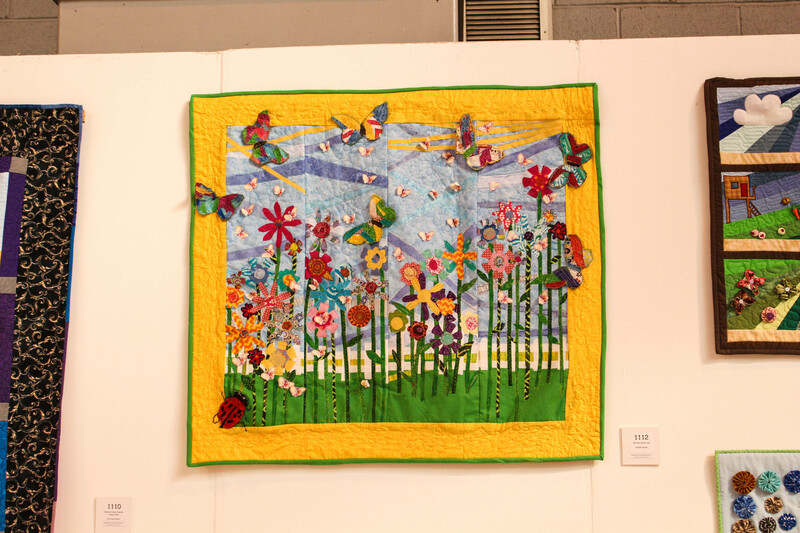 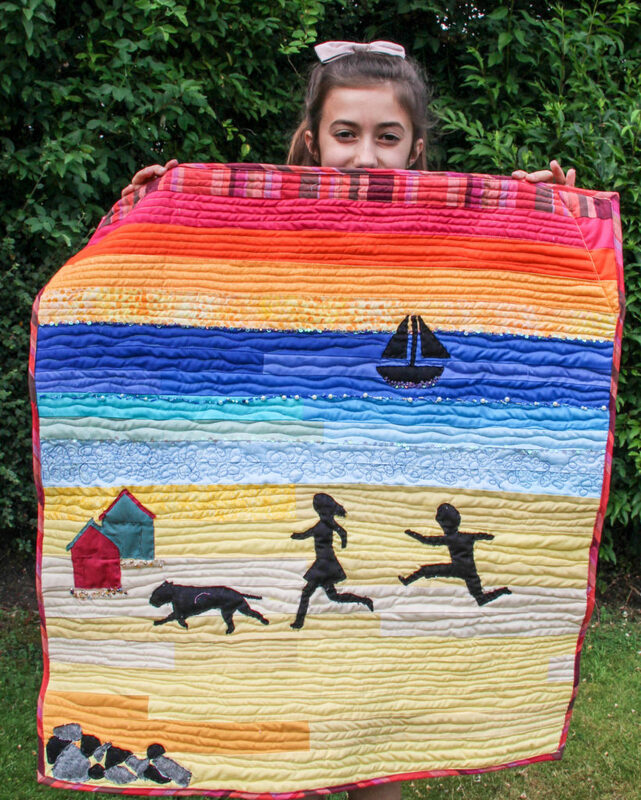 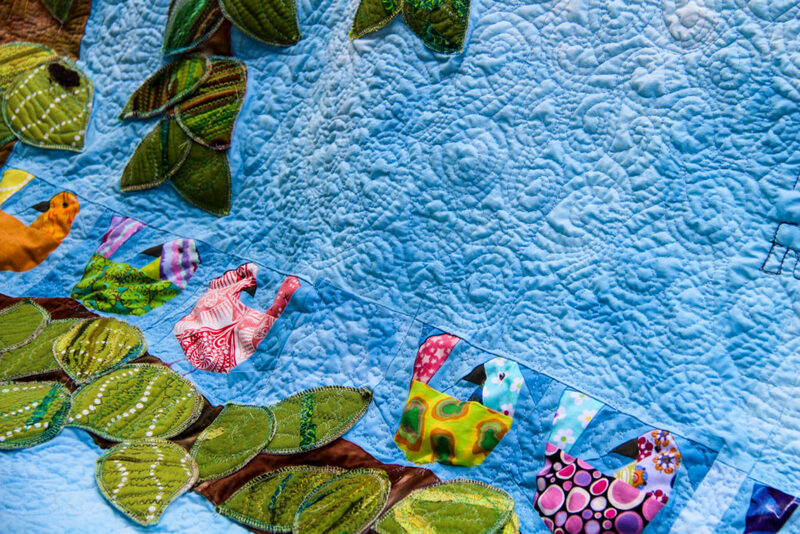 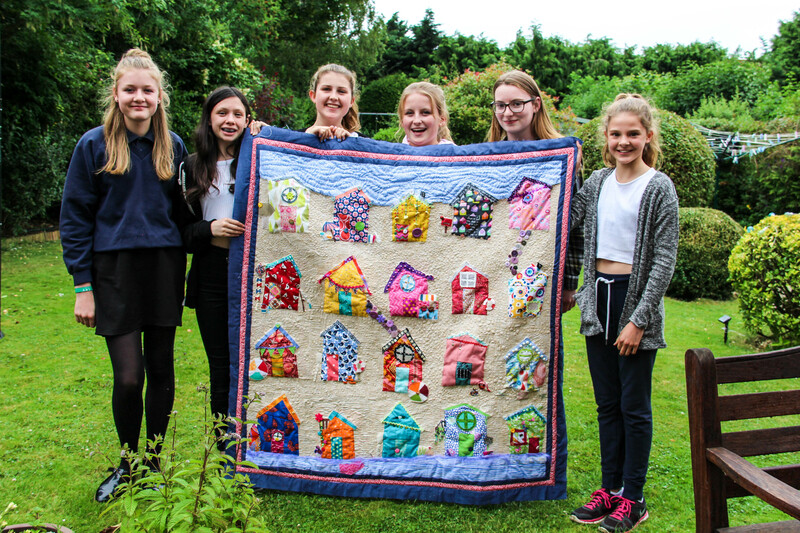 For the past 5 years, the GillyMac junior/teen classes have won awards at the Festival of Quilts and the National Quilting Championships. 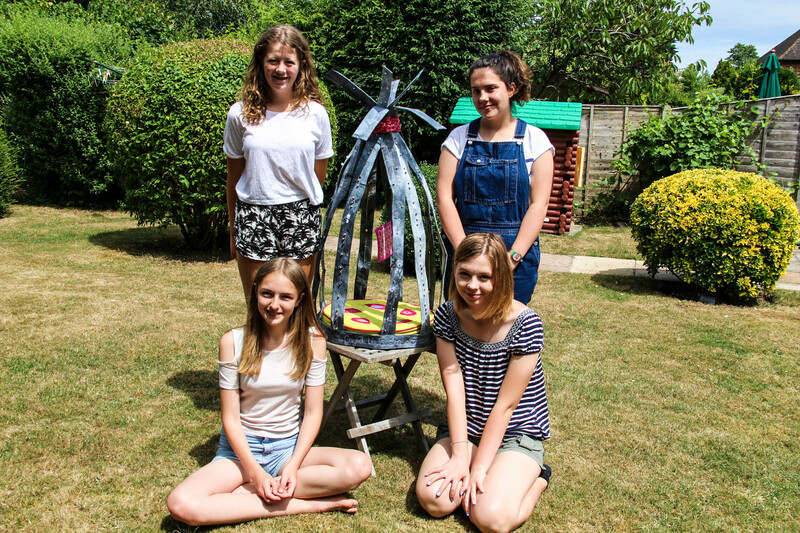 This is an amazing achievement by the girls. 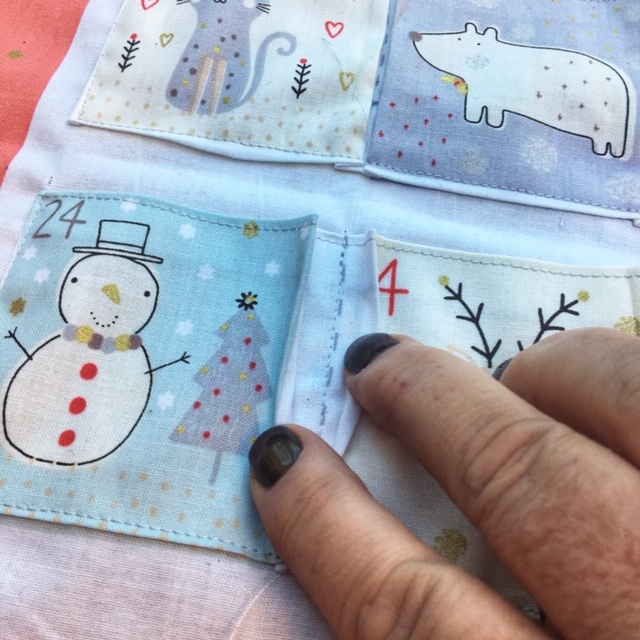 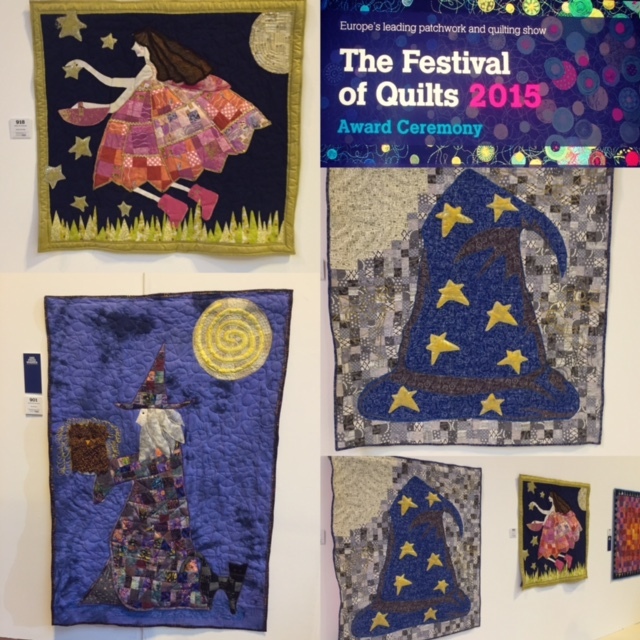 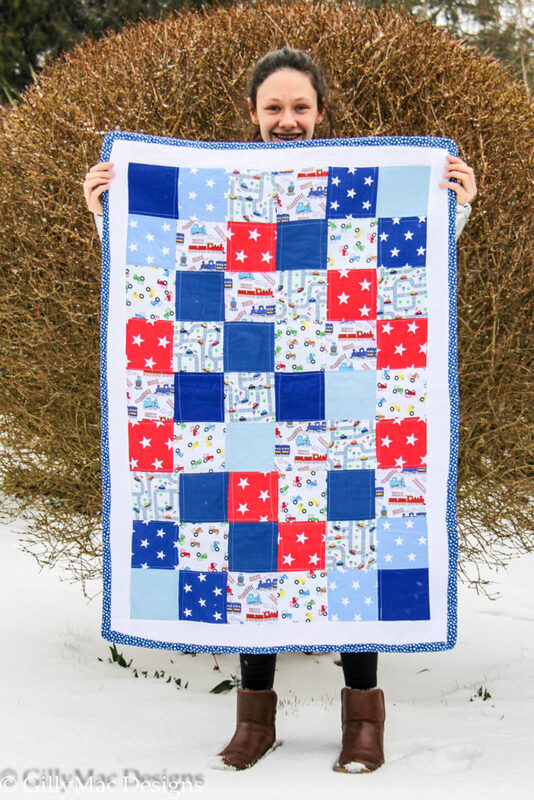 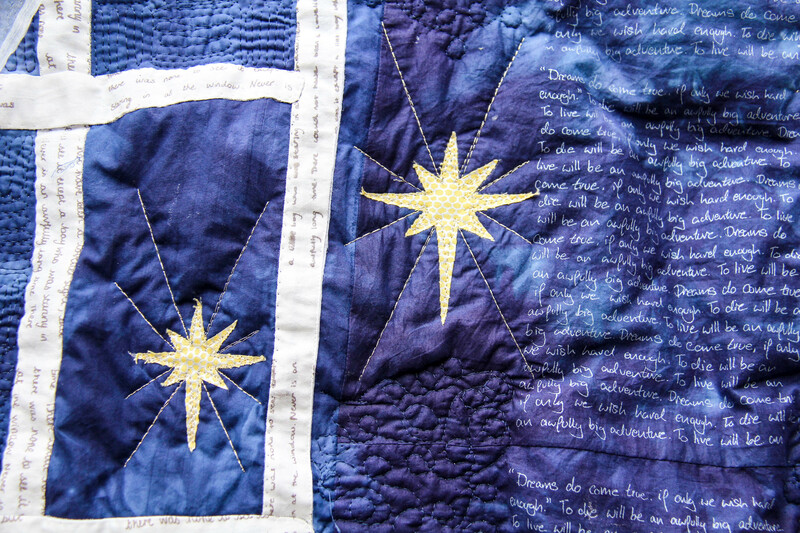 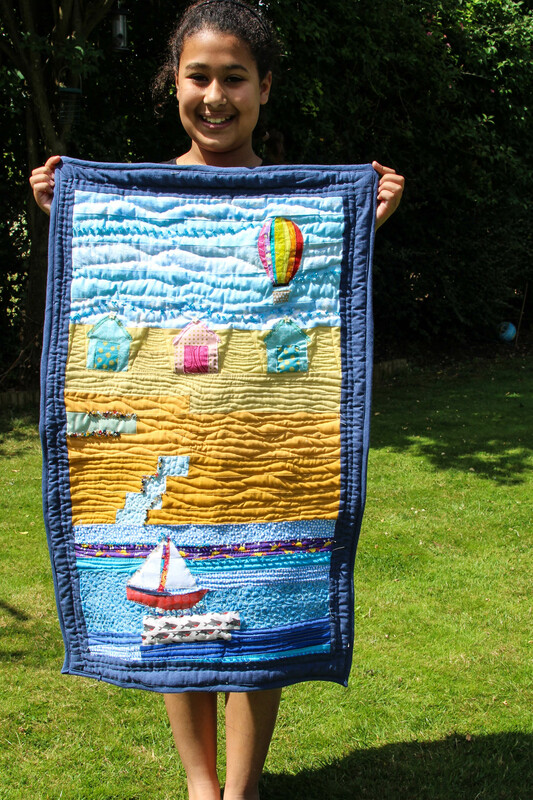 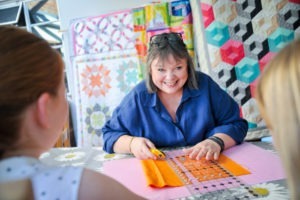 I also support the Duke of Edinburgh skills award for Bronze or Silver and am a regular teacher for the Young Quilters Group of the Quilters Guild of the British Isles. 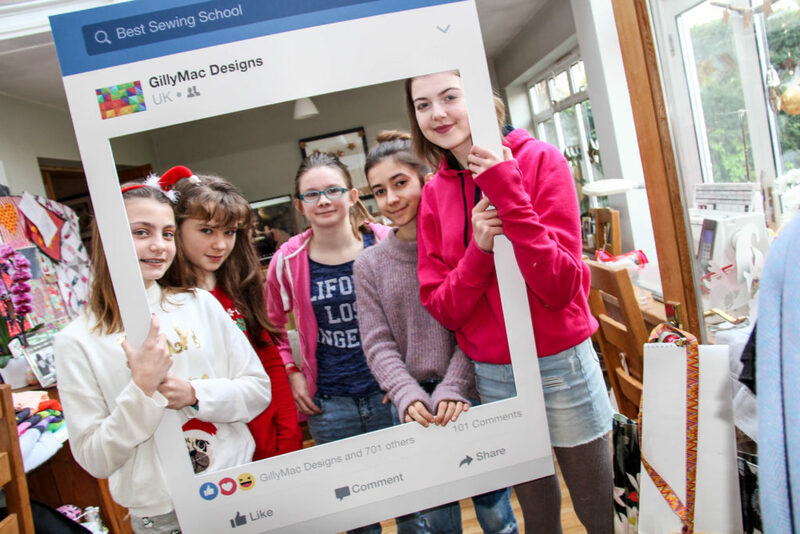 Note : Many of the classes are currently full, but email me at mail@gillymacdesigns.com to see how I could help a new student. 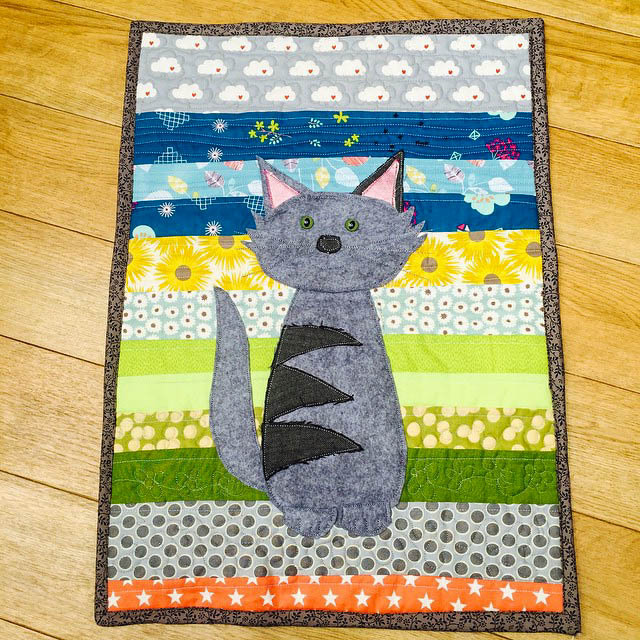 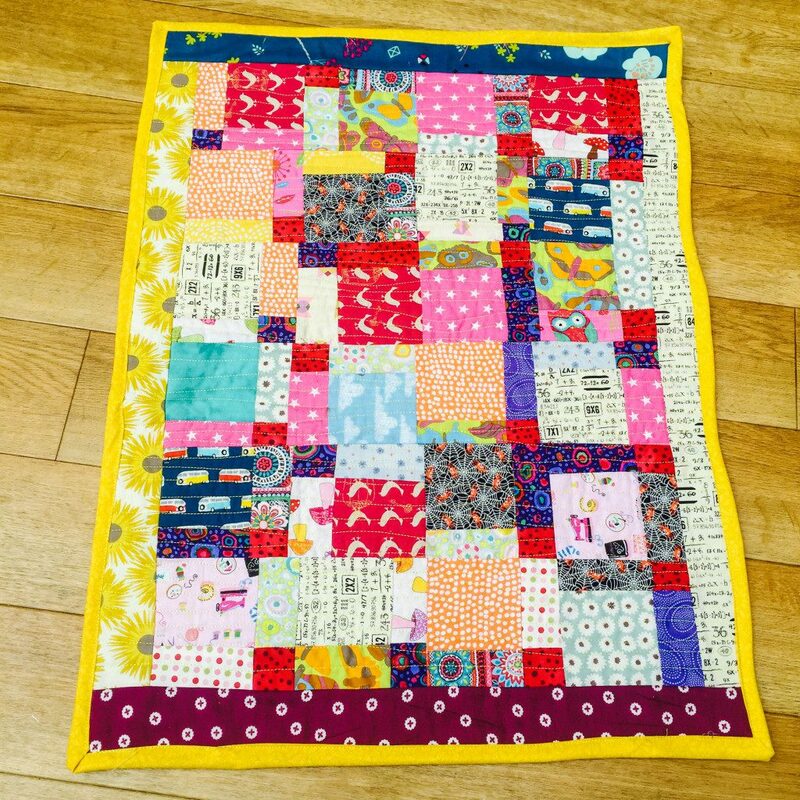 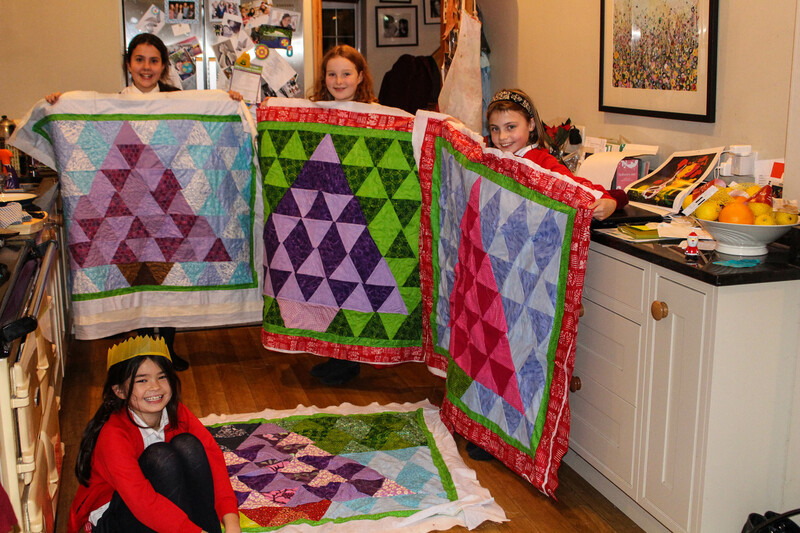 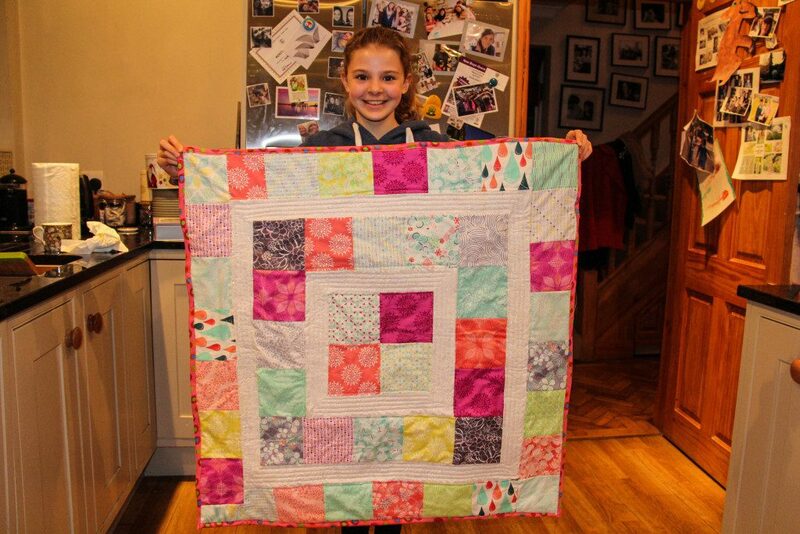 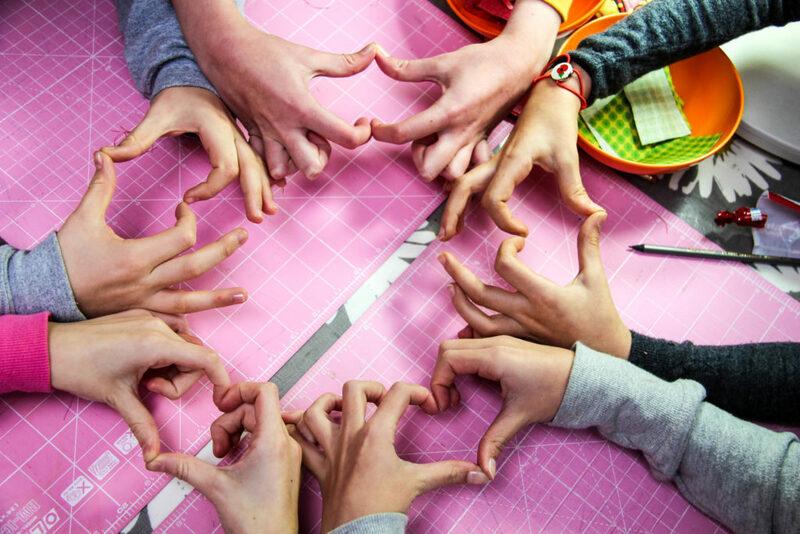 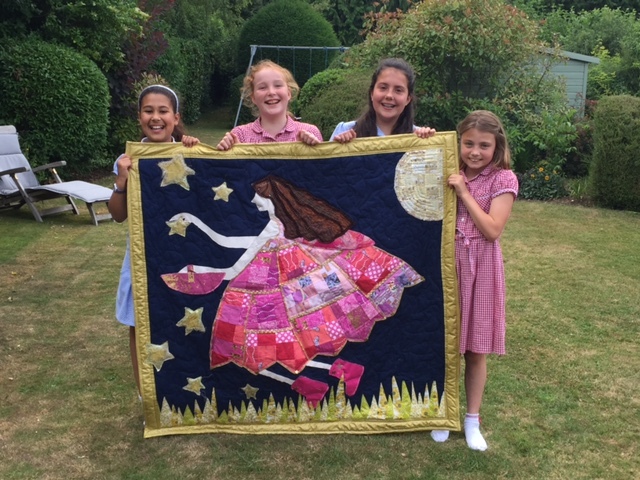 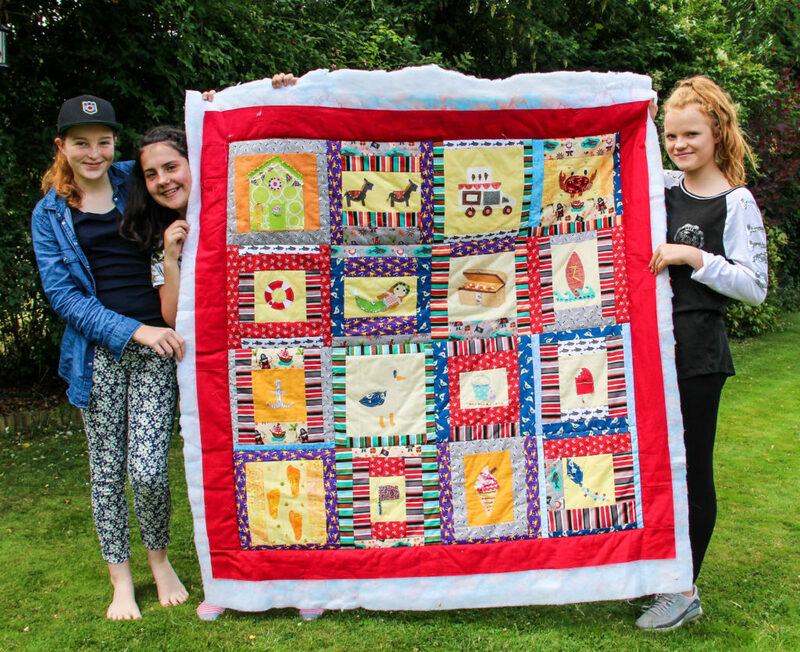 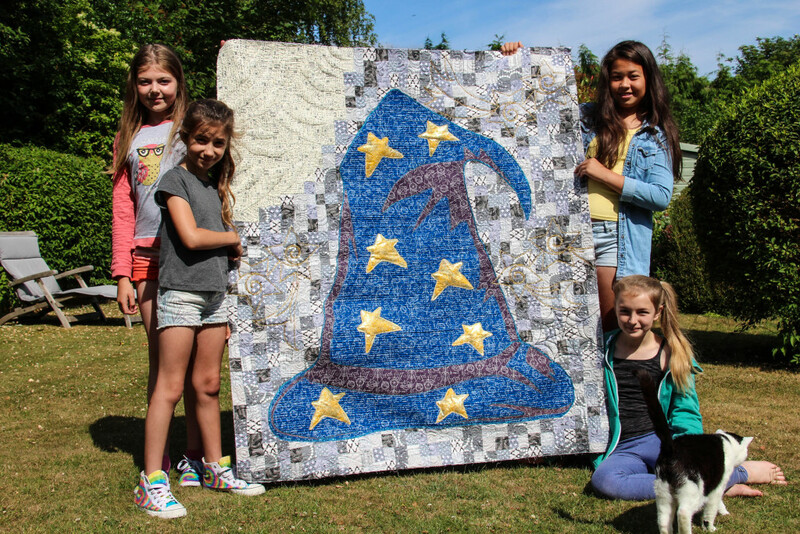 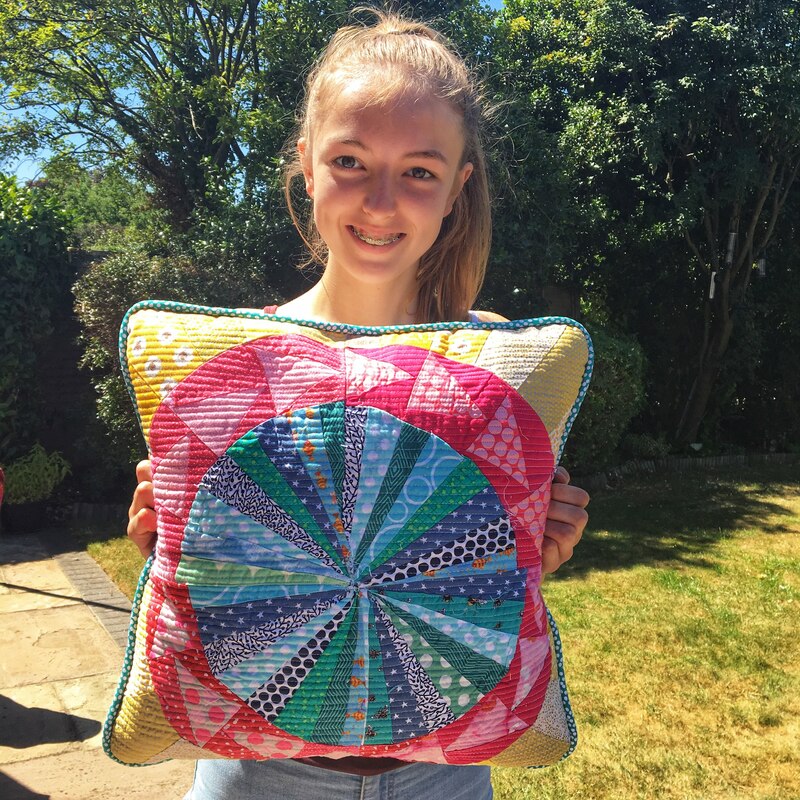 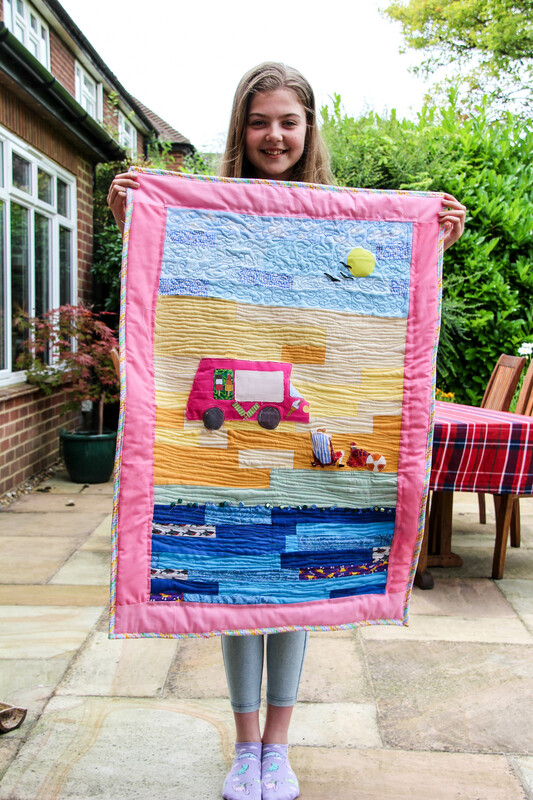 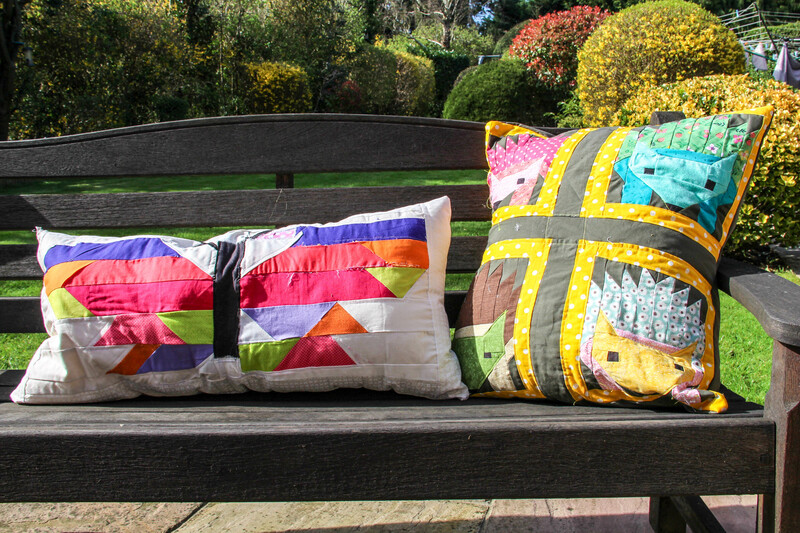 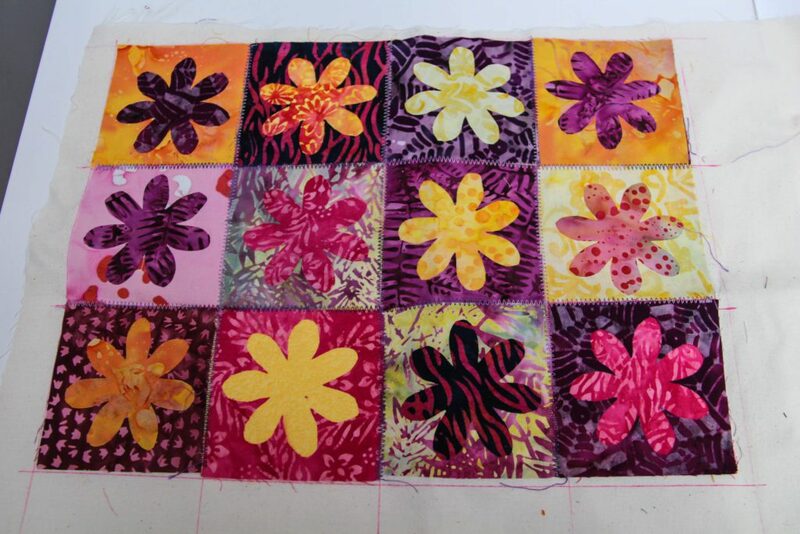 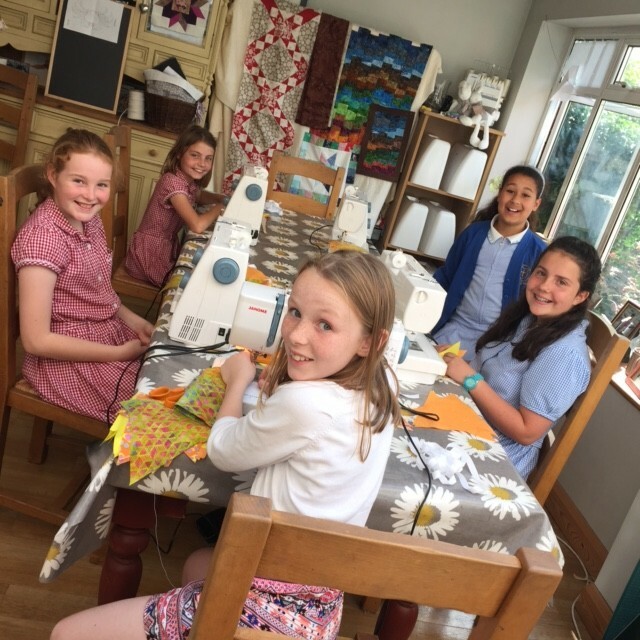 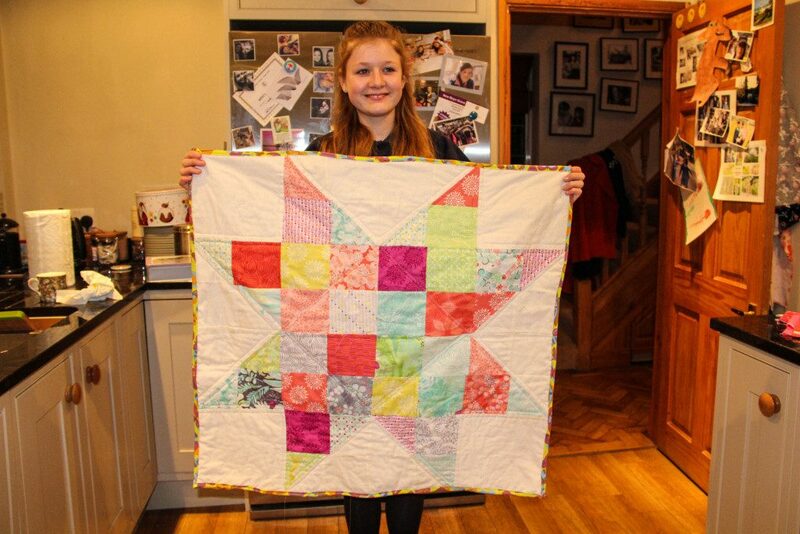 For Year 7+ this after-school-term-time group is a precursor to a GCSE in textiles or just a fun way to take the first steps into dressmaking as well as patchwork and quilting. 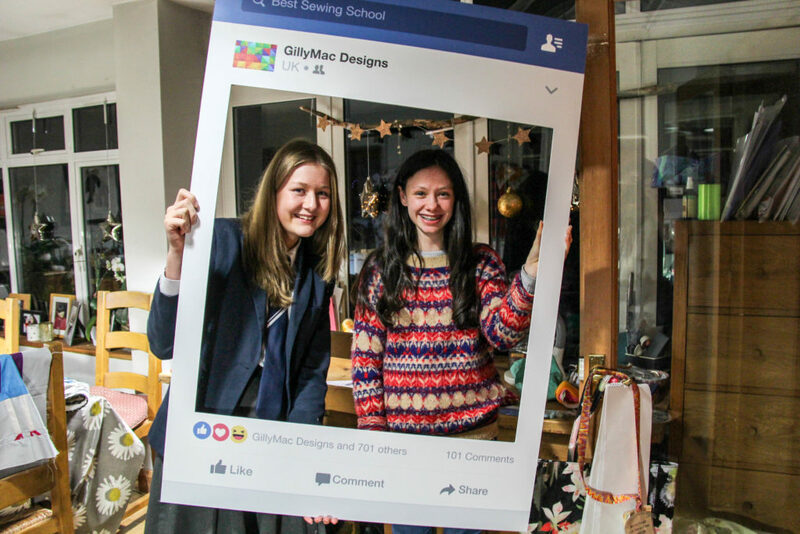 These girls normally have ideas of their own and my classes are tailored to meeting their needs and exploring what they want to learn about. 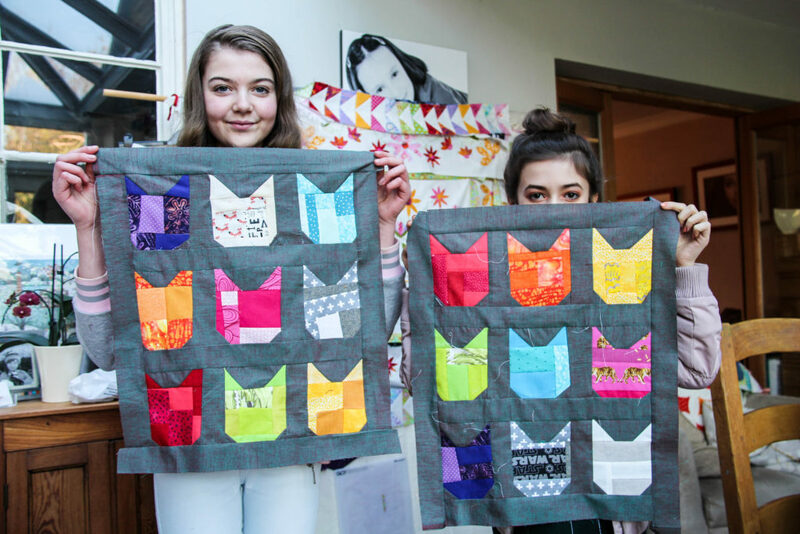 This Easter I will be running two Tween/Teen Classes. 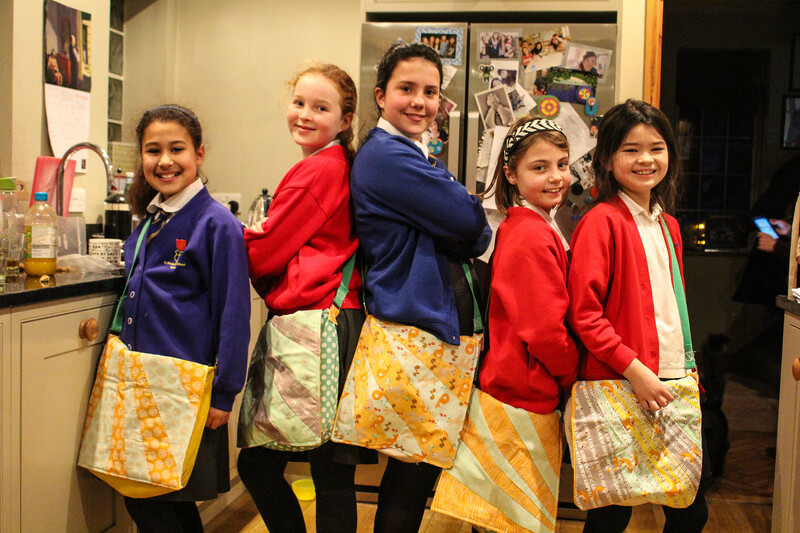 Each will be limited to 5 places and allow the pupil to create their own project using my designs and their imagination. 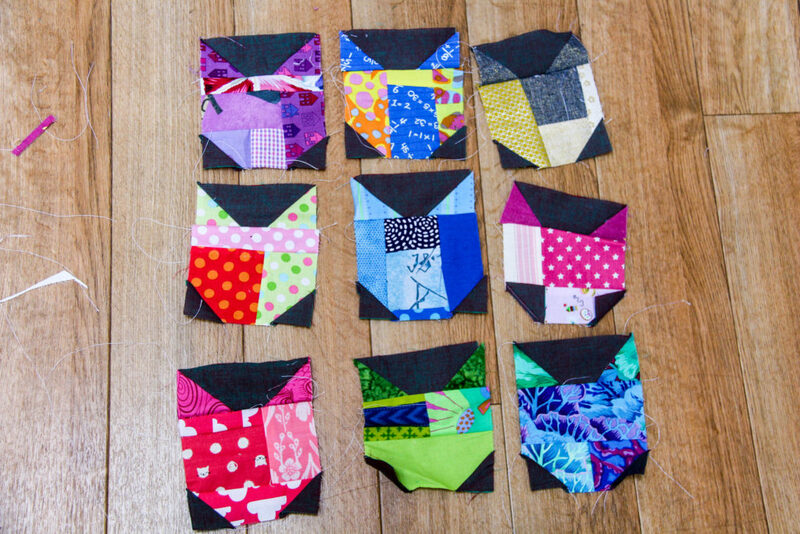 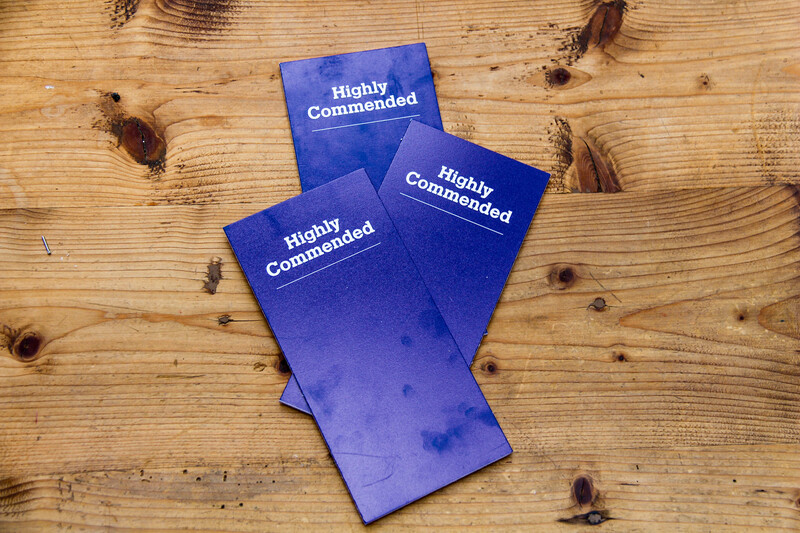 This is a great project. 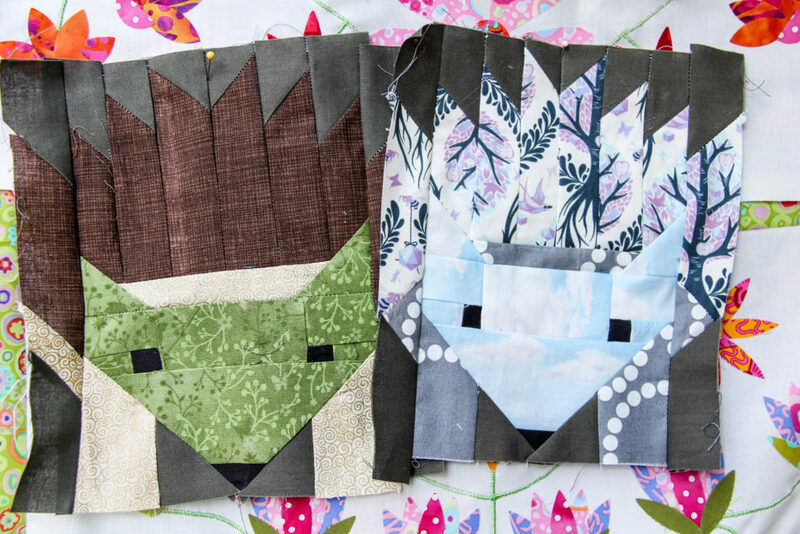 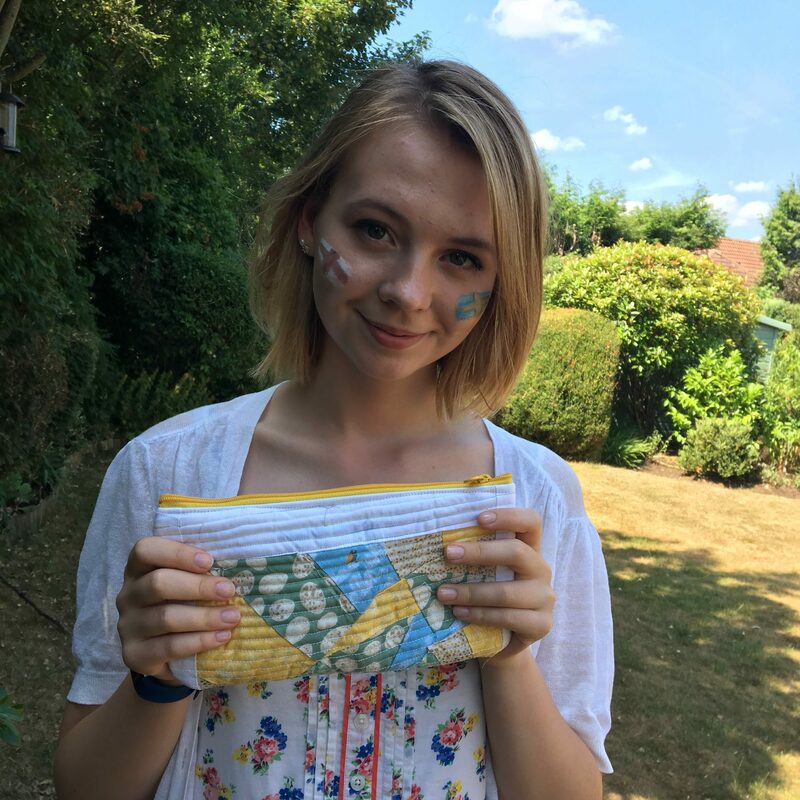 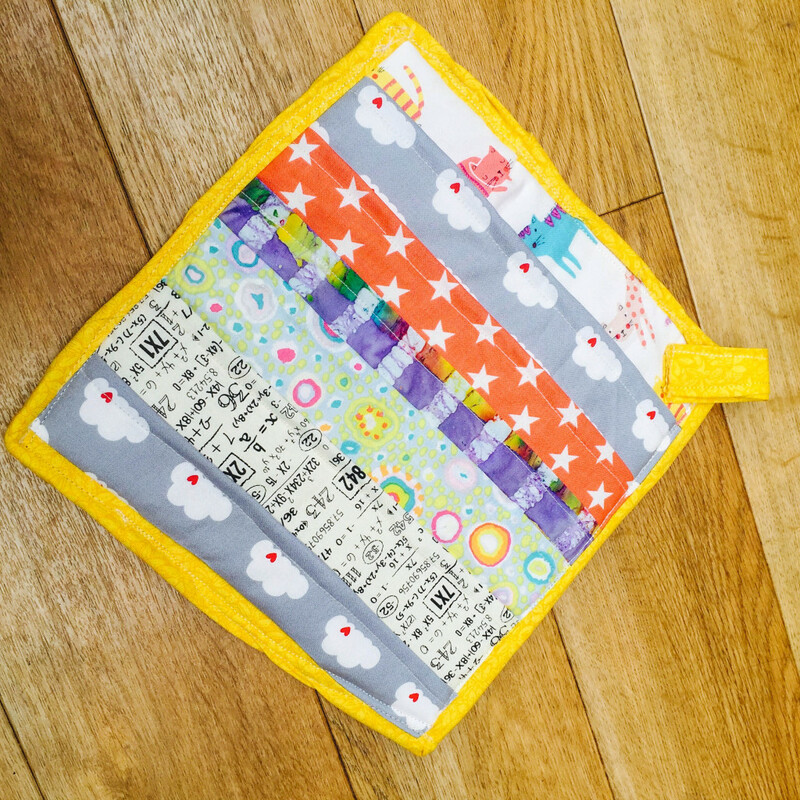 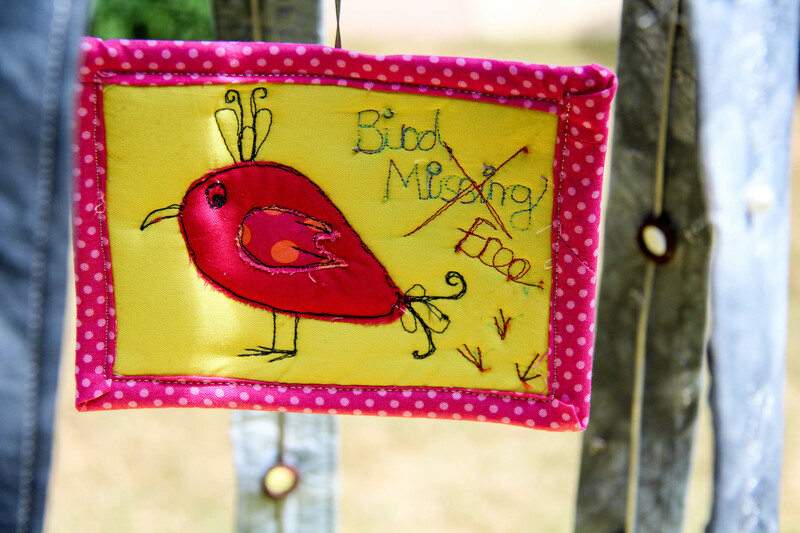 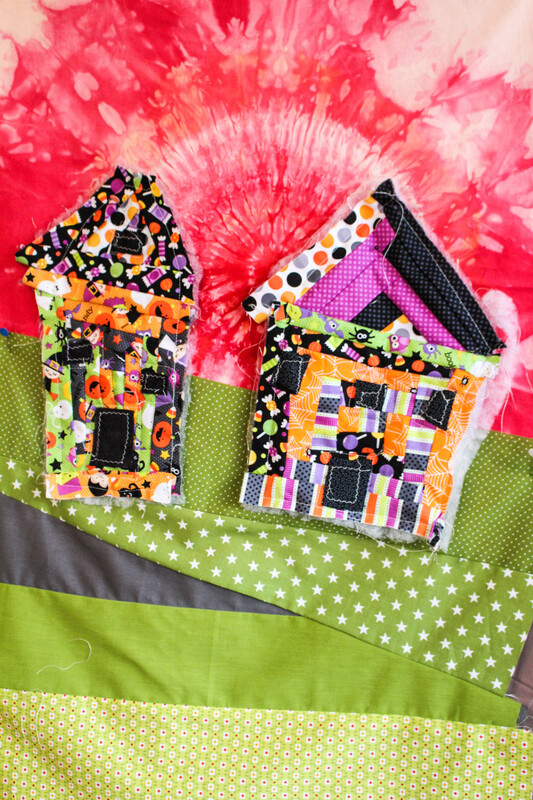 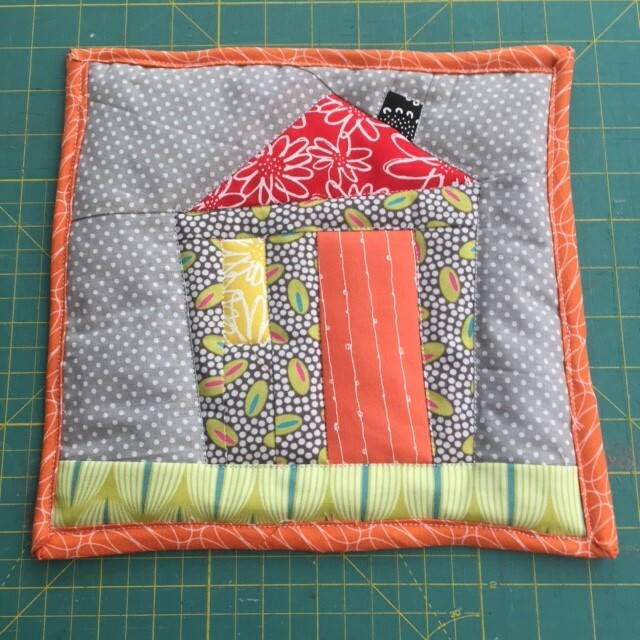 Come and create your own coin purse using all the fabric and tools at the Studio. 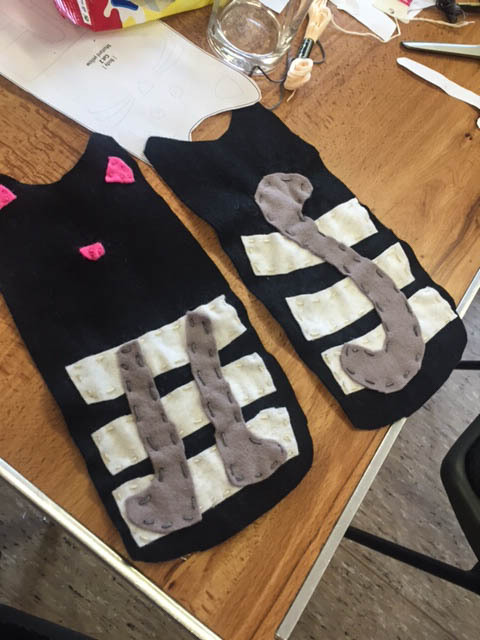 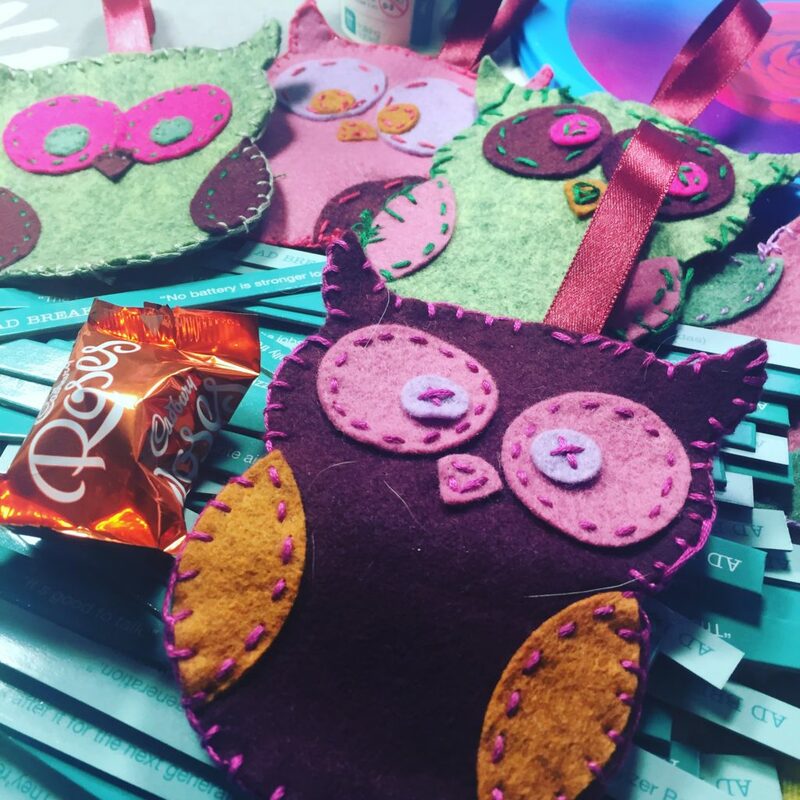 The pupils will benefit from prepared templates allowing them to focus on their own creativity and enjoy making this gorgeous item. 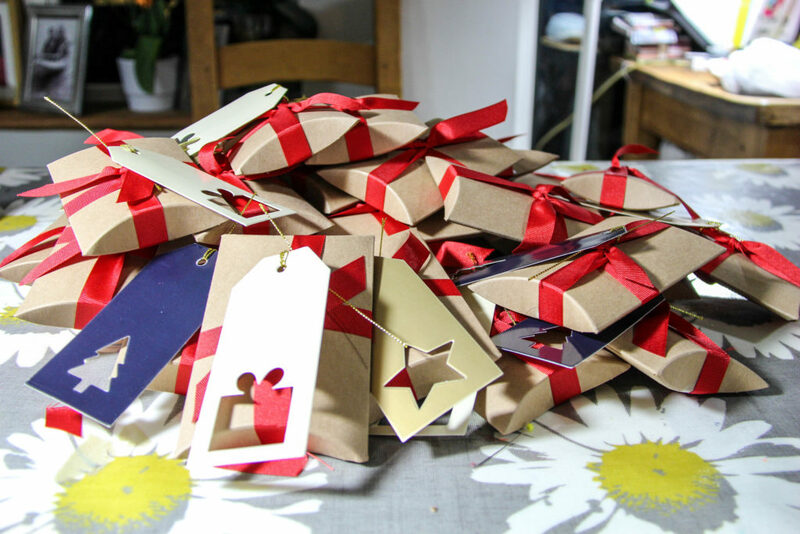 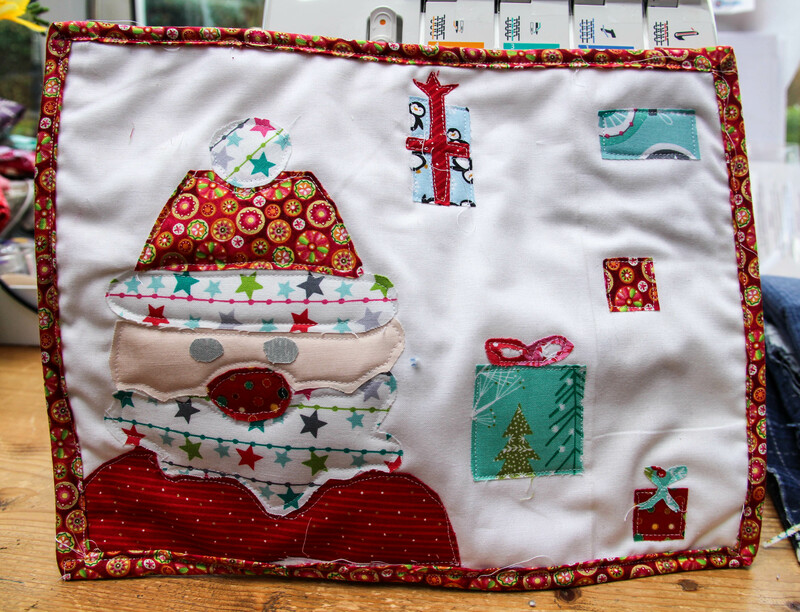 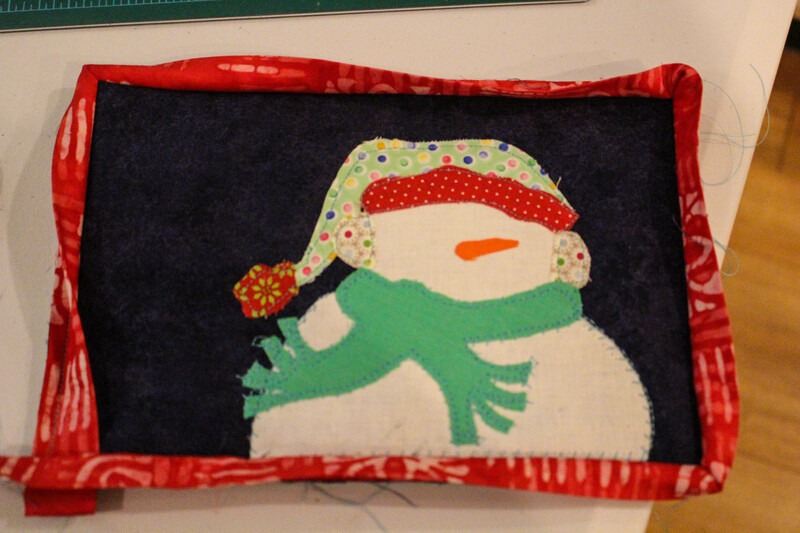 The girls in weekly classes have all loved making these fab wipes for themselves and as gifts. 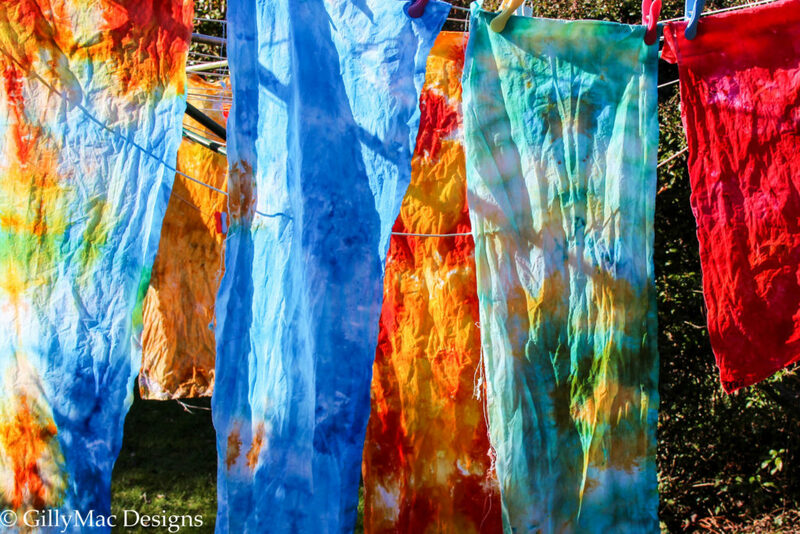 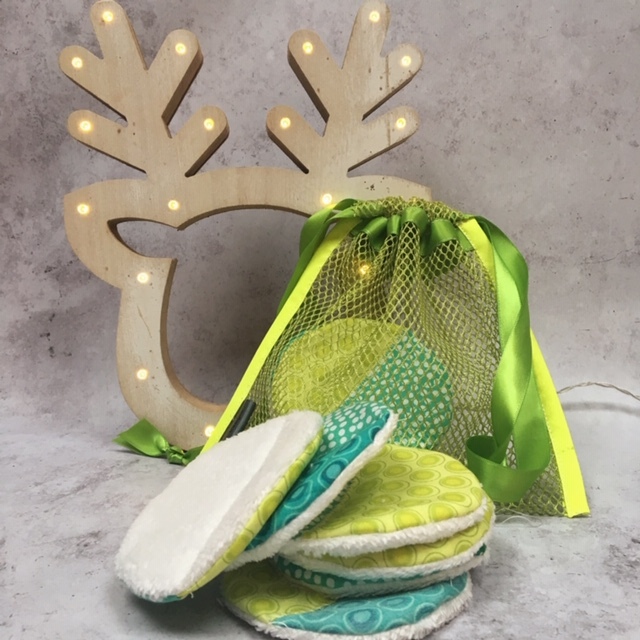 In this class, the pupils will make 20 reusable wipes with bamboo towelling, know for its antibacterial properties. 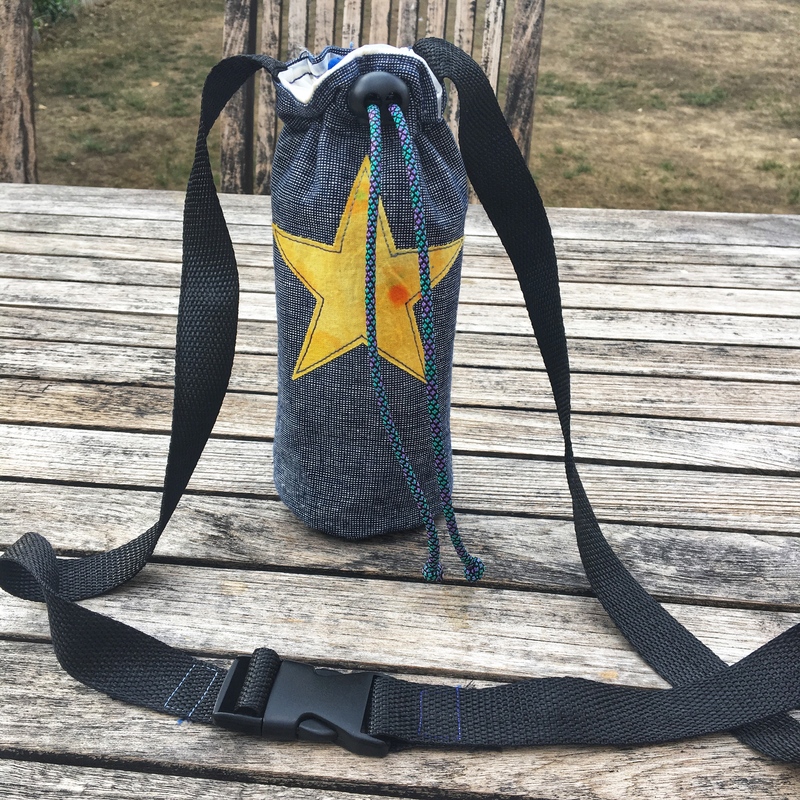 Pupils will also make a mesh bag, complete with poppers, which acts and a gift bag, storage bag and a bag to hold the wipes safe whilst they are being washed.